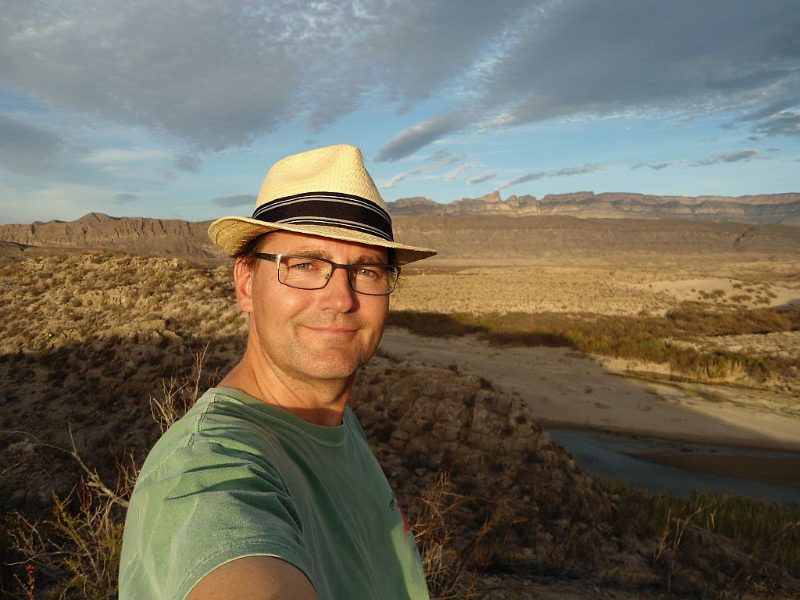 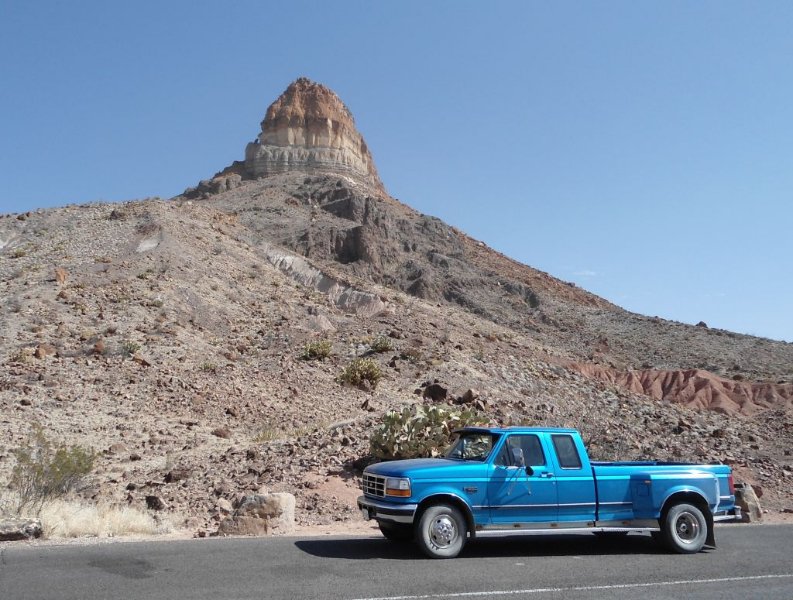 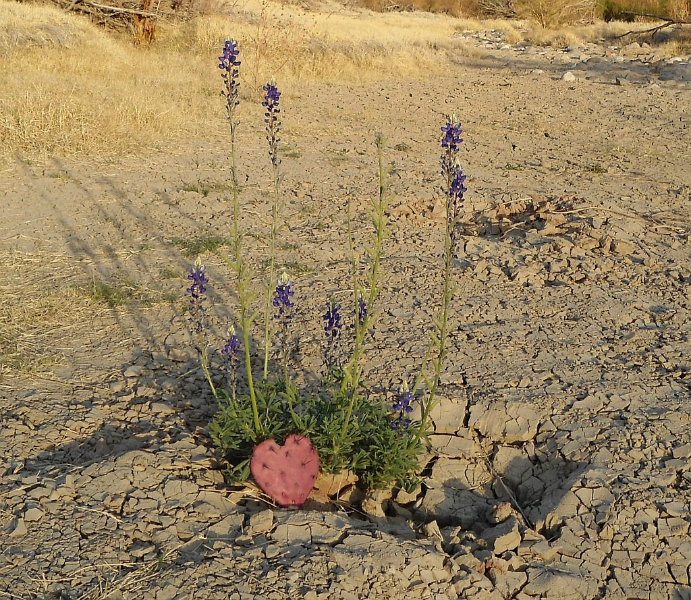 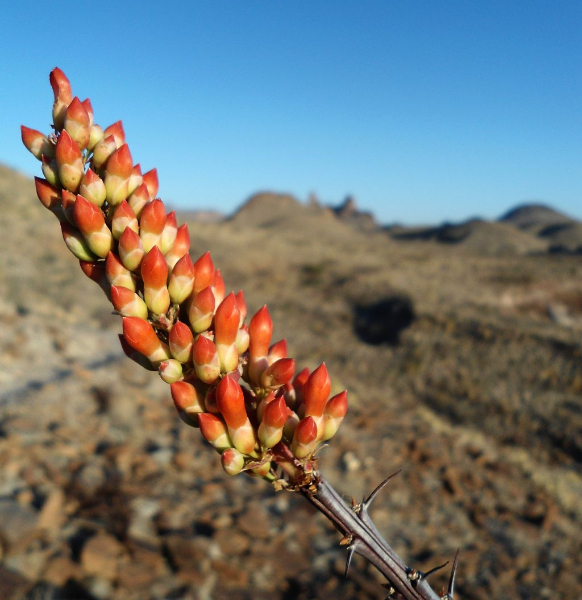 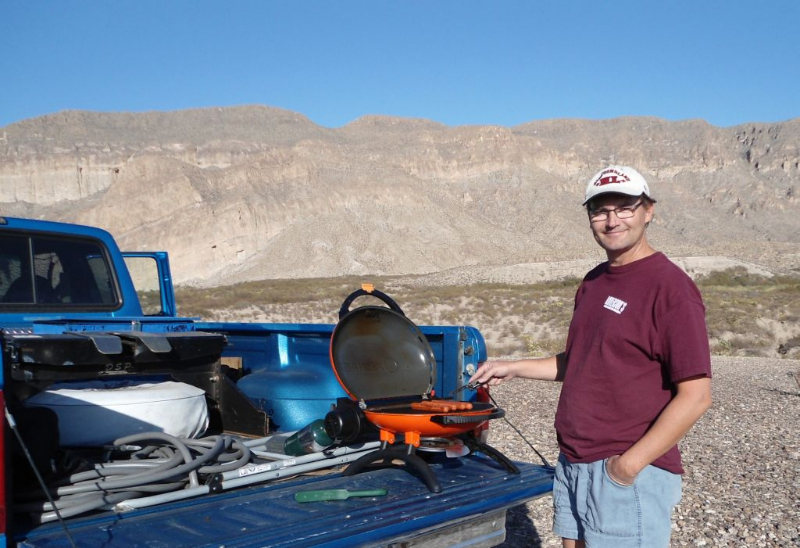 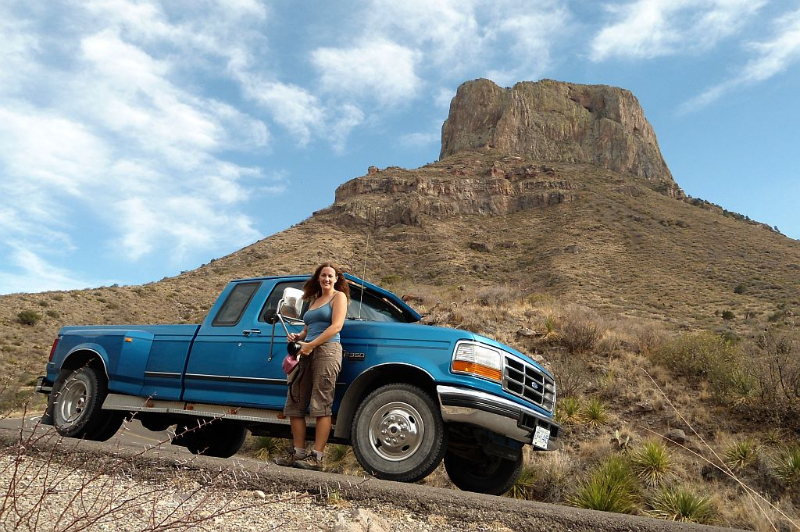 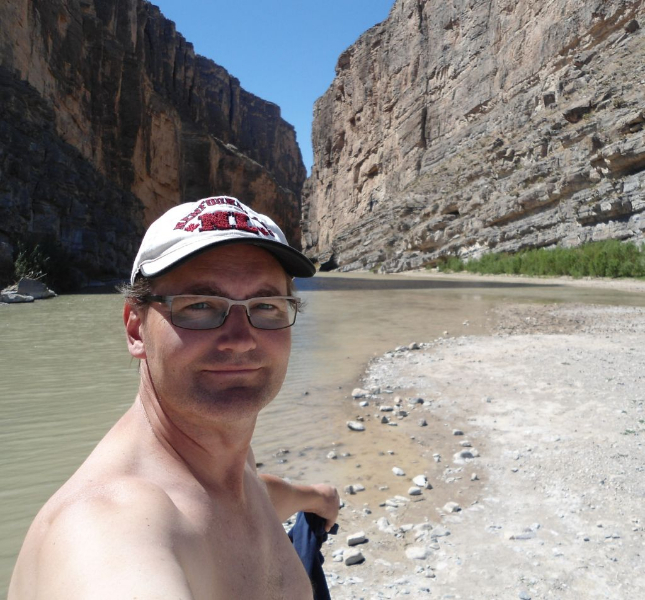 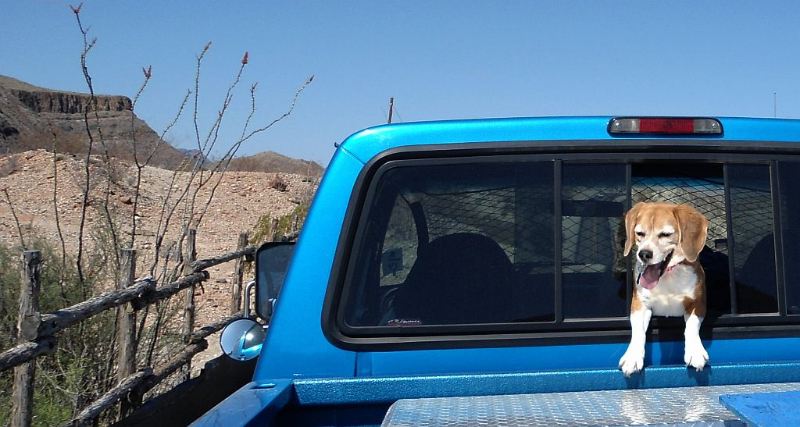 Big Bend National Park Visit - Spring 2012 - Love Your RV! 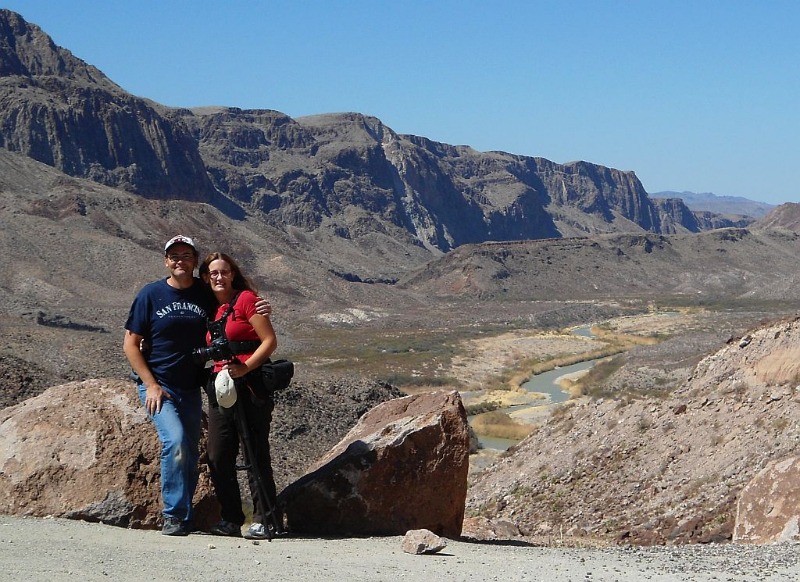 In the spring of 2012 Anne and I made the trek down to visit Big Bend National Park. 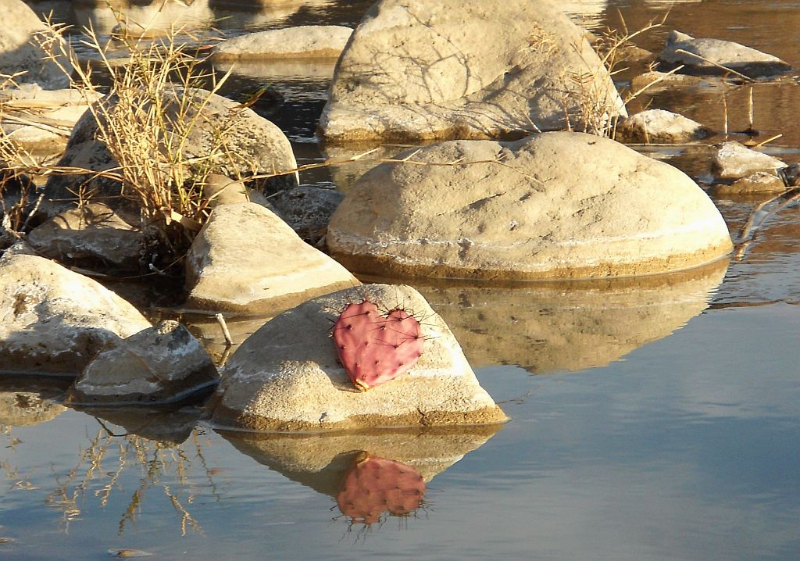 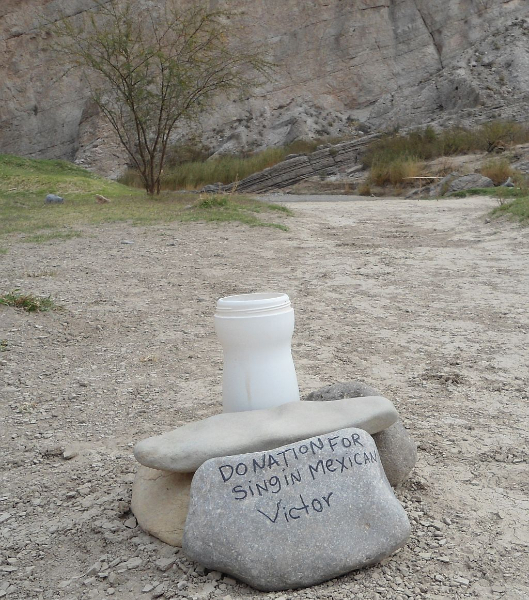 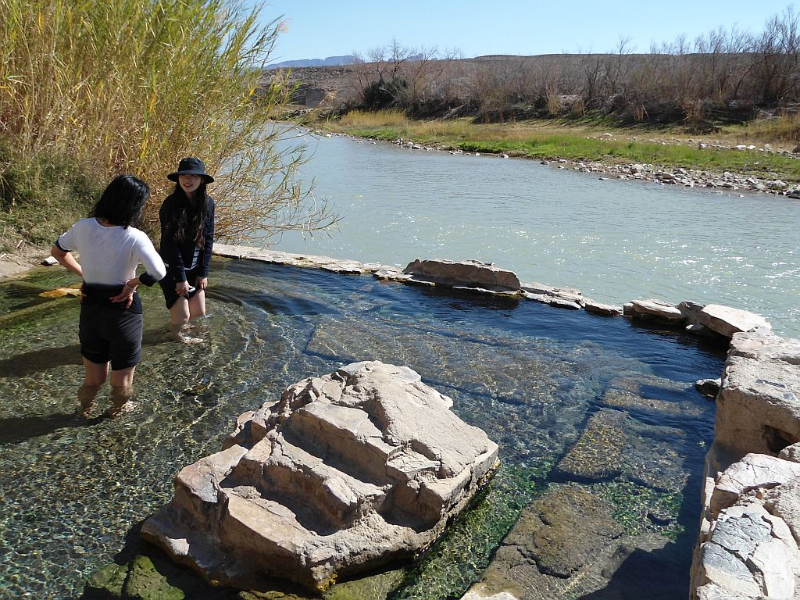 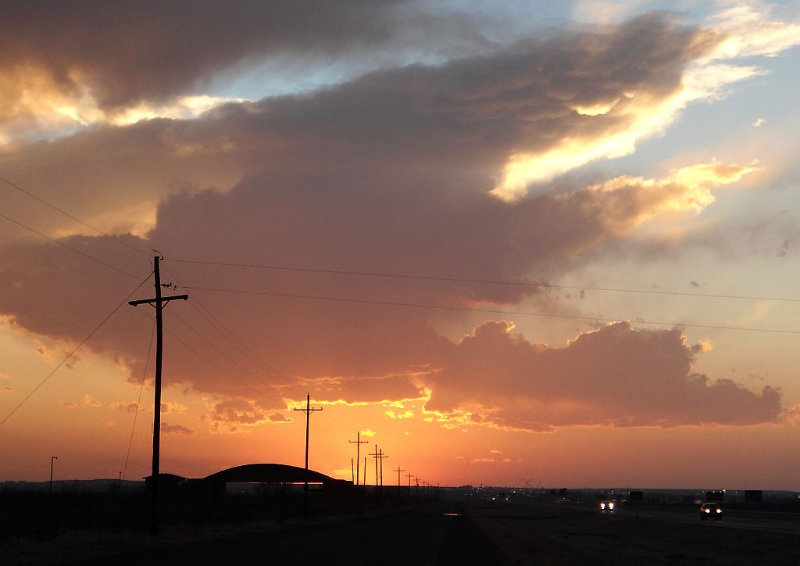 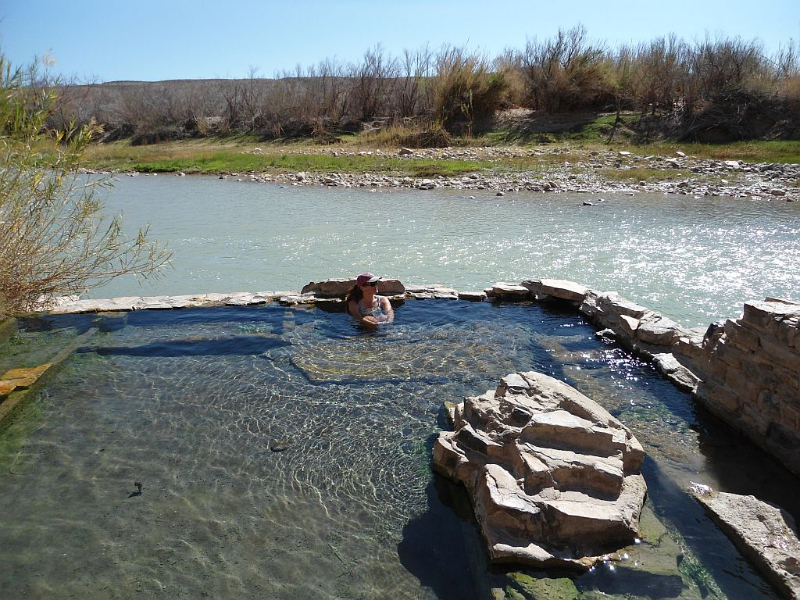 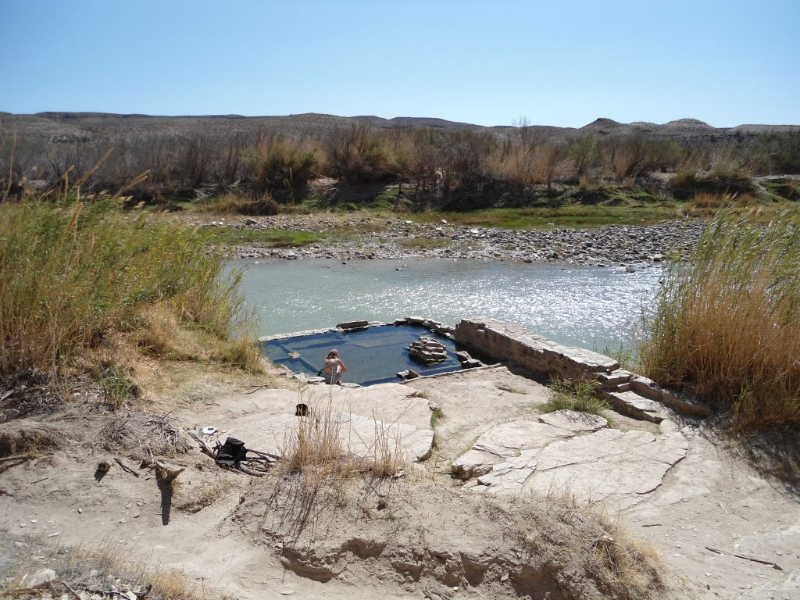 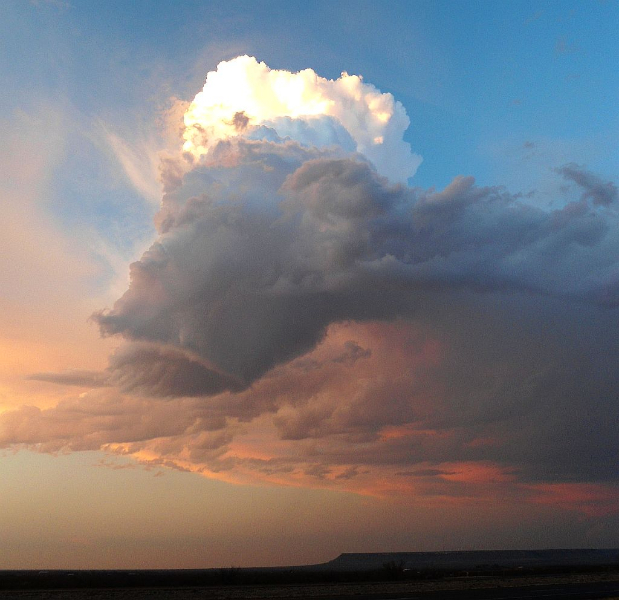 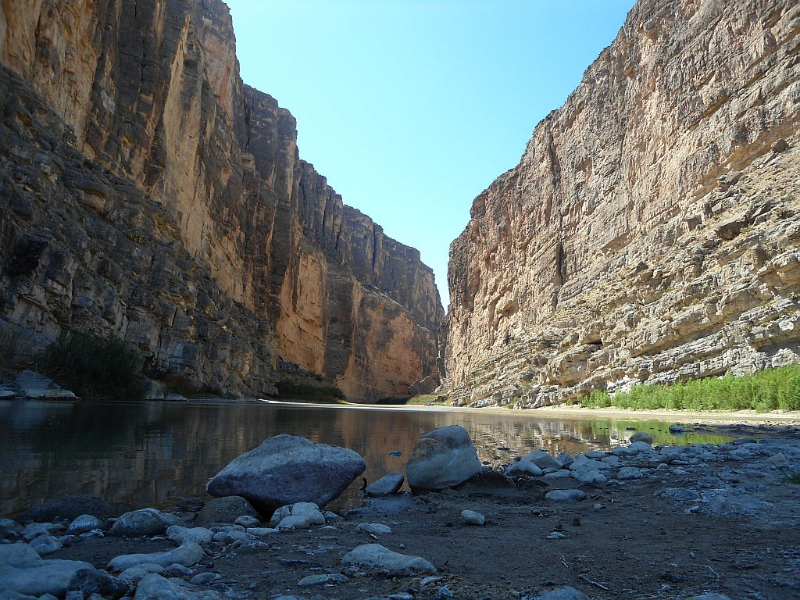 It is located along the Rio Grande on the Mexican border in West Texas. 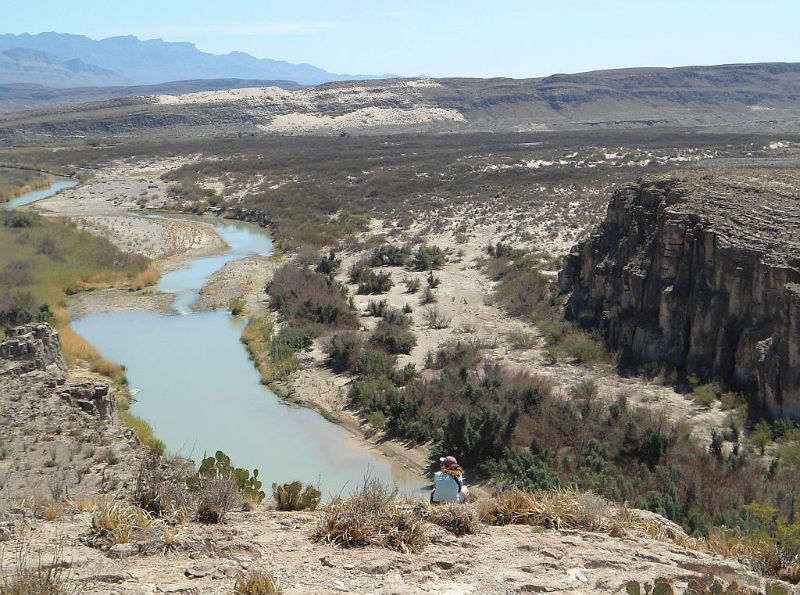 This is where the Rio Grande takes a big bend, hence the name. 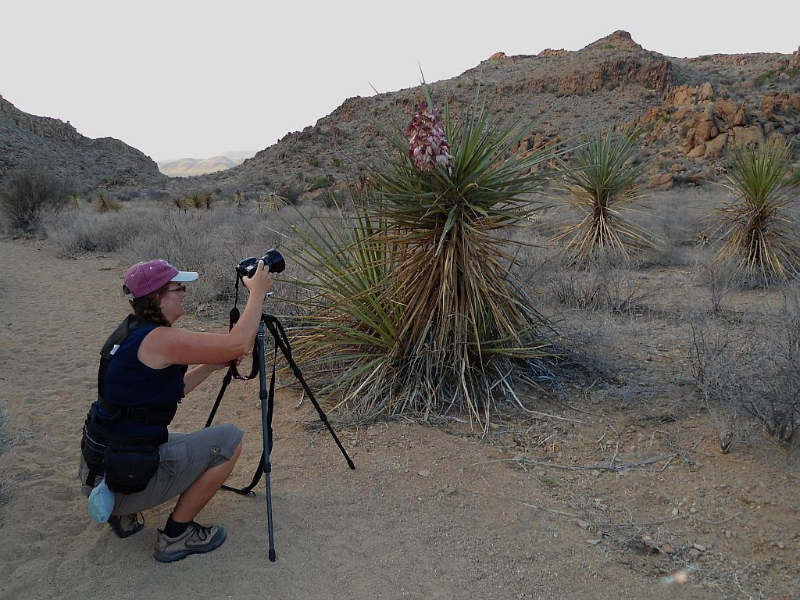 Anne was inspired to go after seeing many beautiful images taken there and we love to try to visit the National Parks. 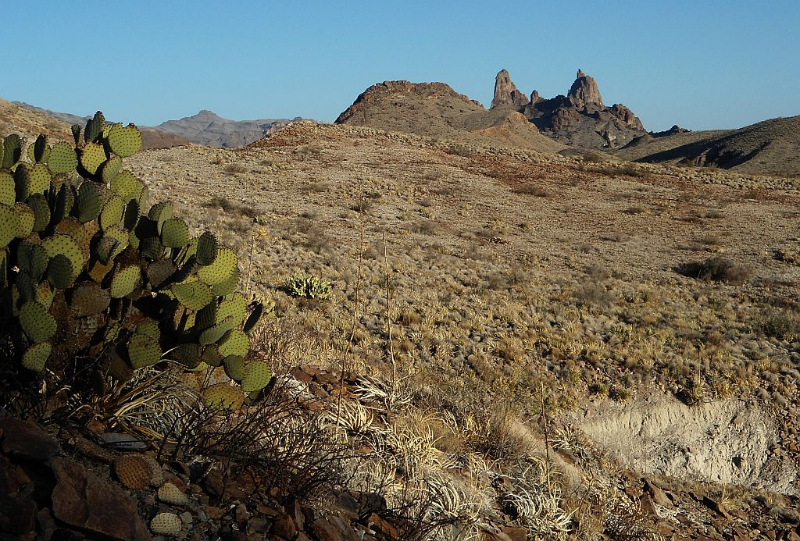 Big Bend is one of the least visited and isolated of the National Parks. 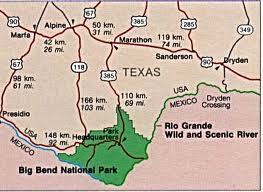 It also is fairly large so be ready for some driving to see the various park highlights. 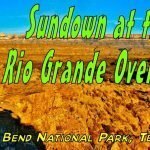 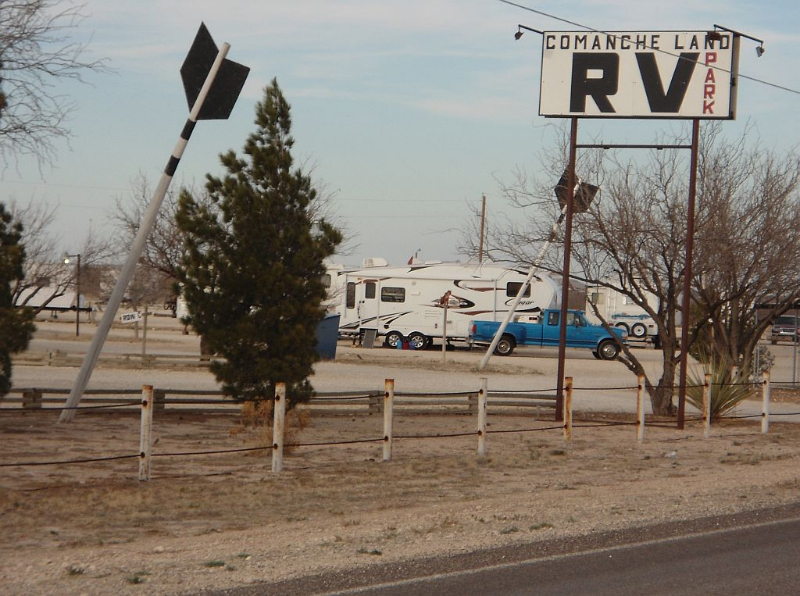 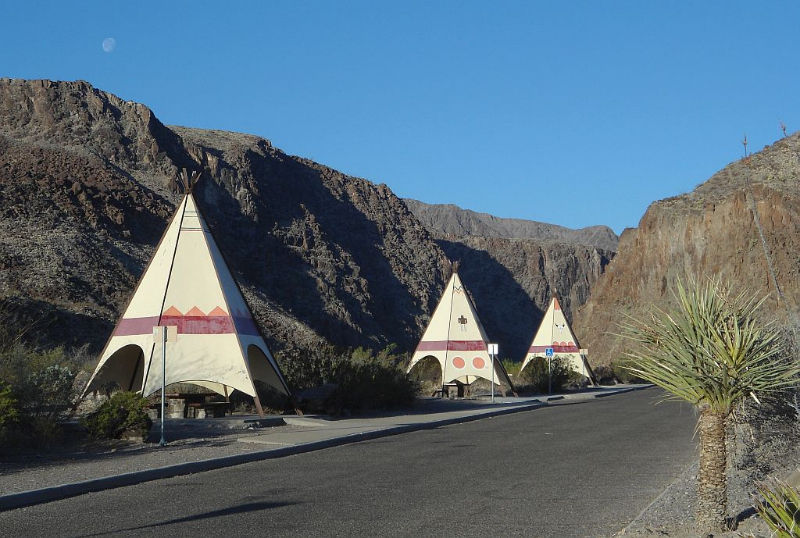 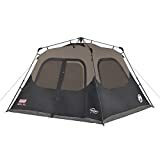 There are several campgrounds to stay at, we choose the Rio Grande Village one because it had full hookups available and WiFi close by. 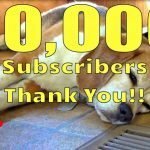 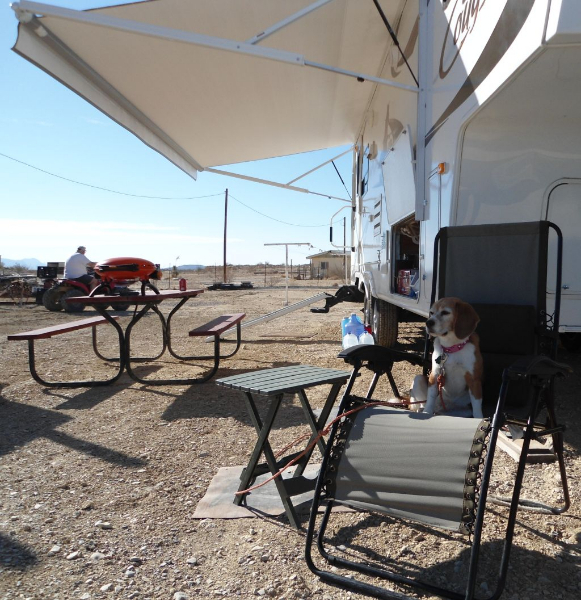 We were traveling with 2 dogs so required Air Conditioning as they are not allowed in most areas of the park. 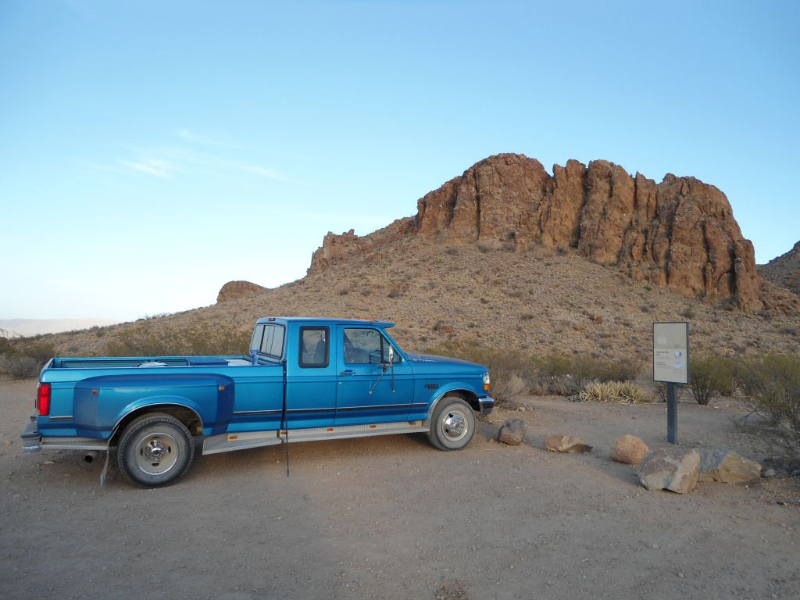 It is basically a parking lot but the views are spectacular and you won’t spend much time here. 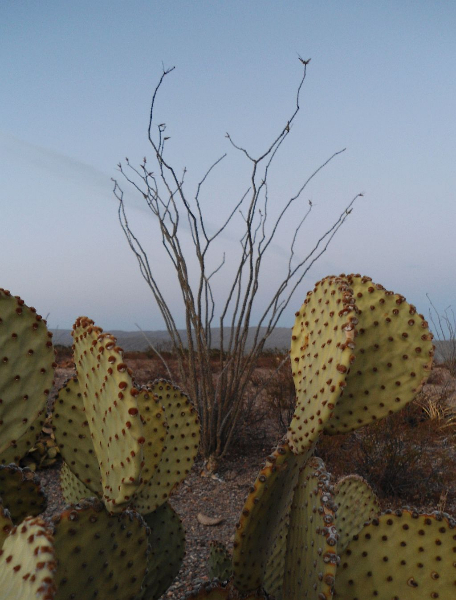 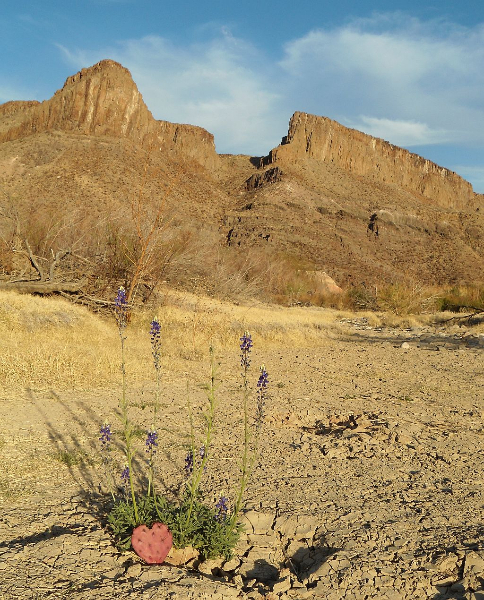 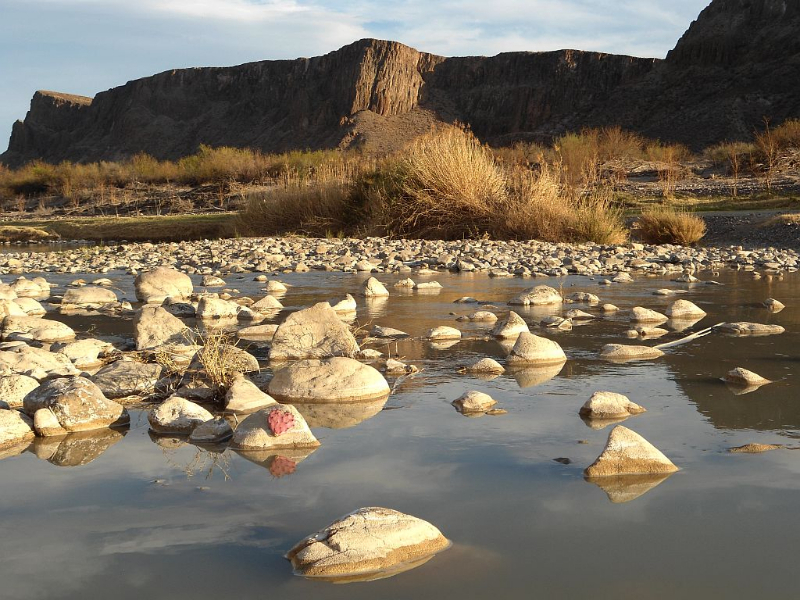 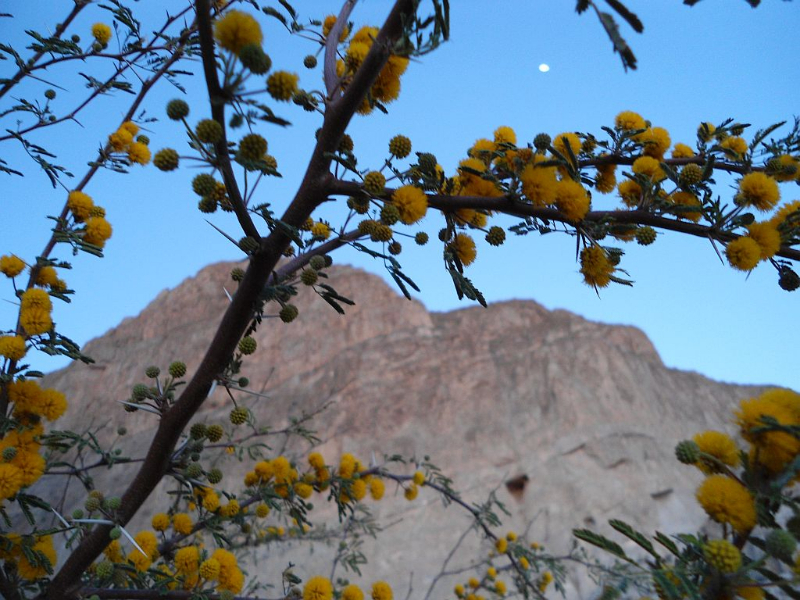 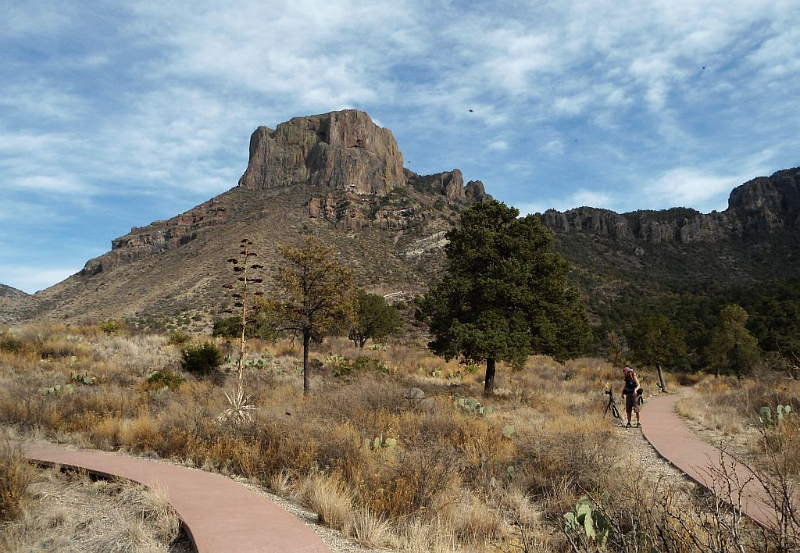 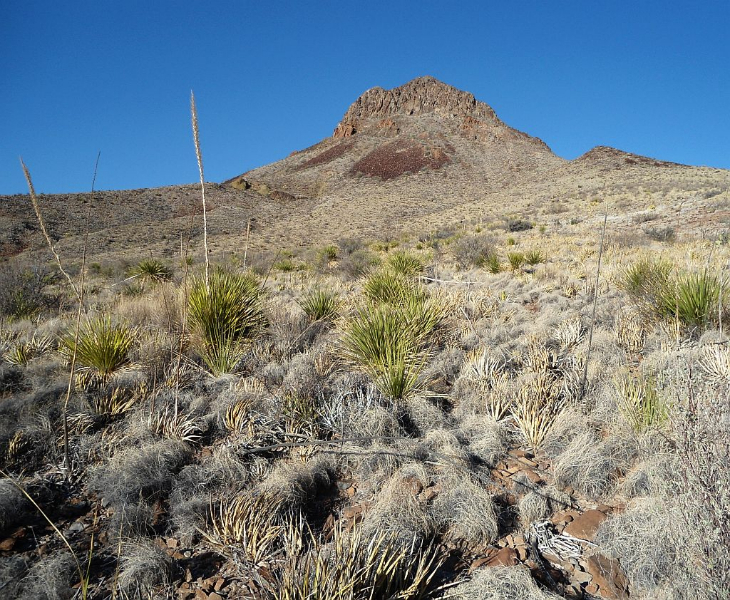 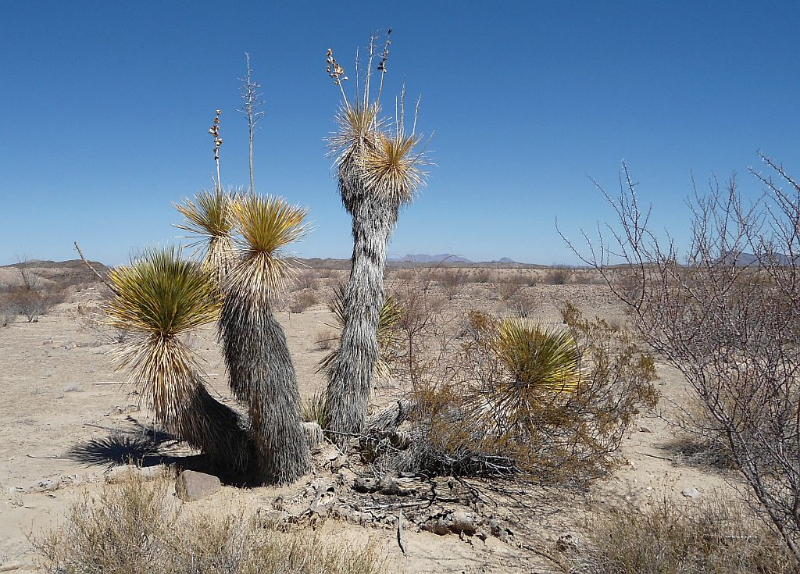 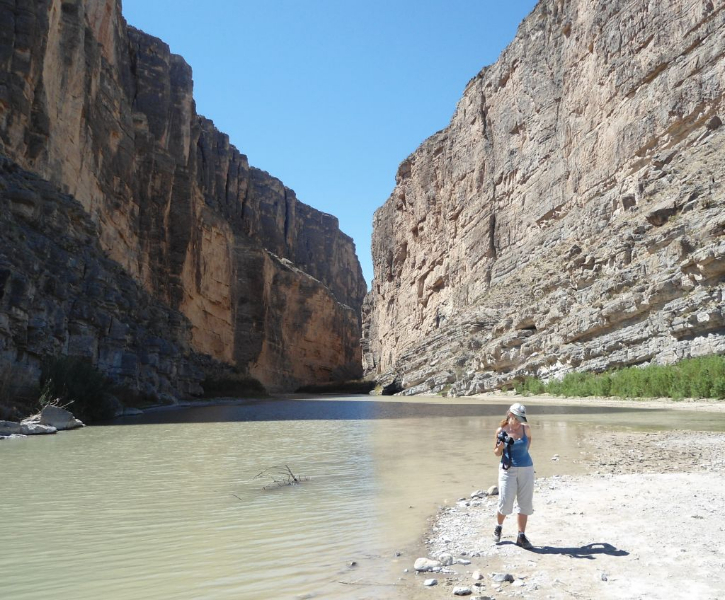 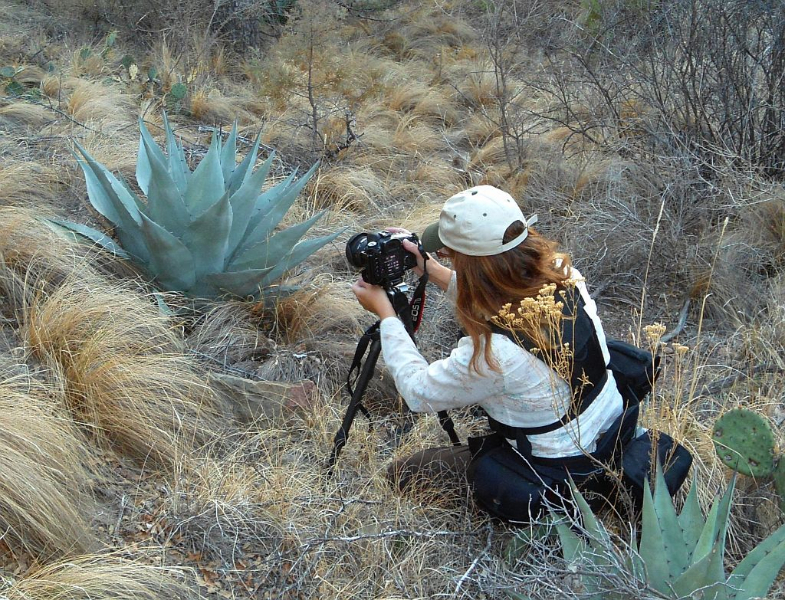 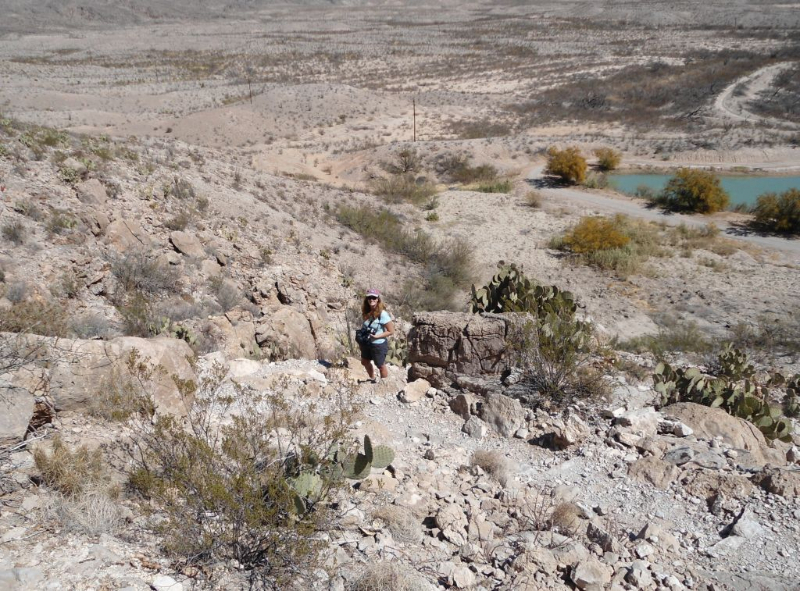 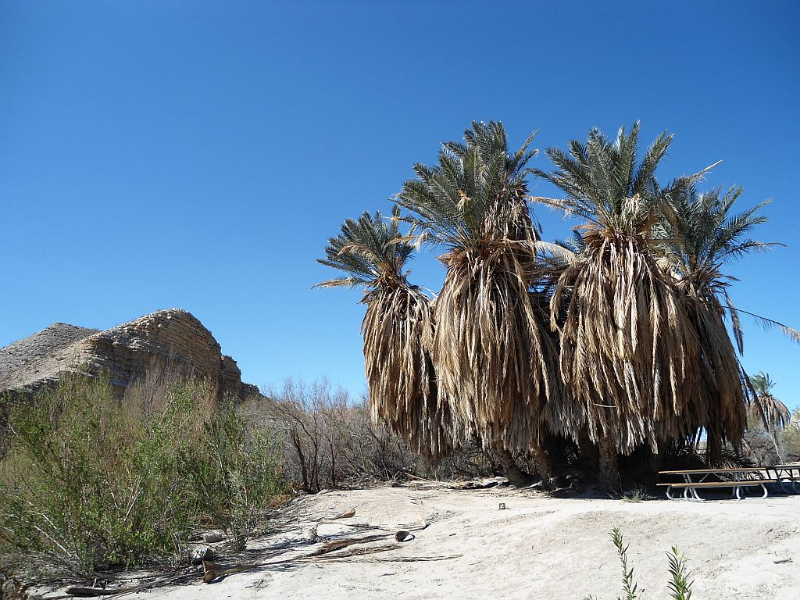 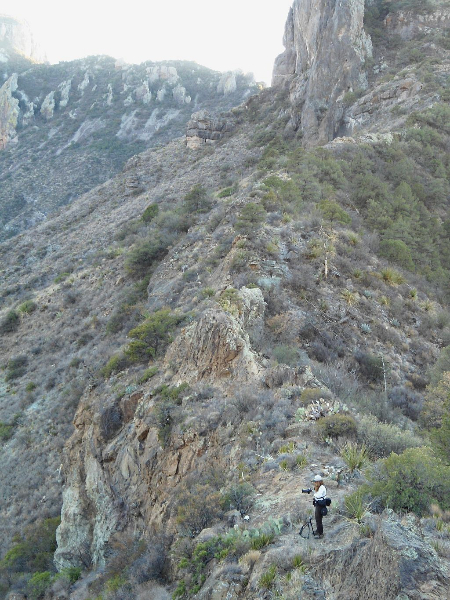 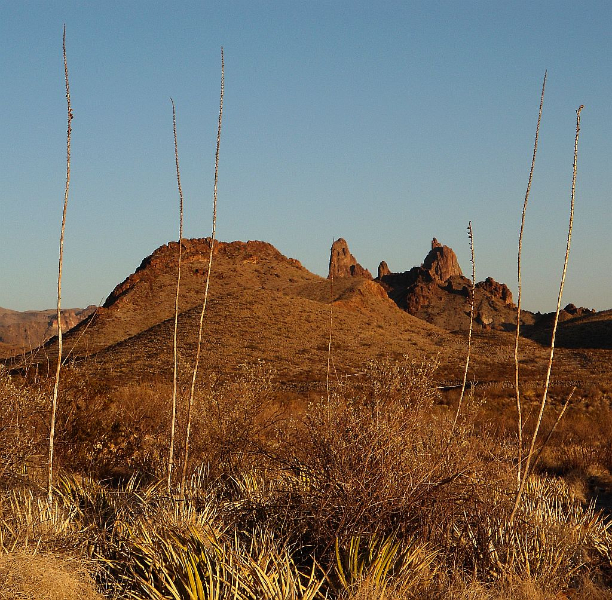 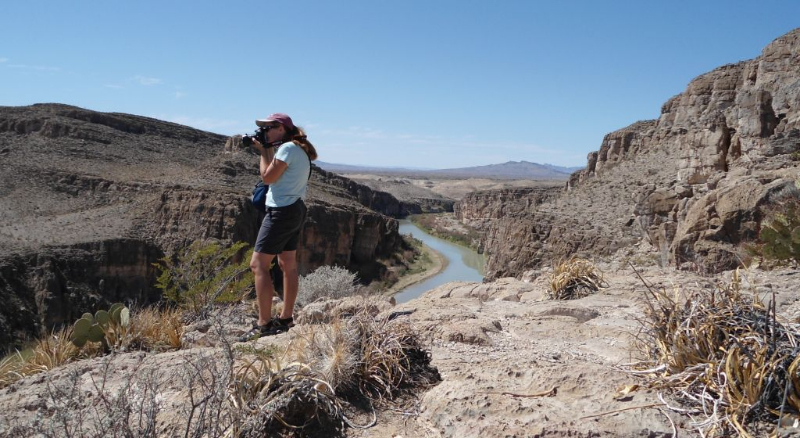 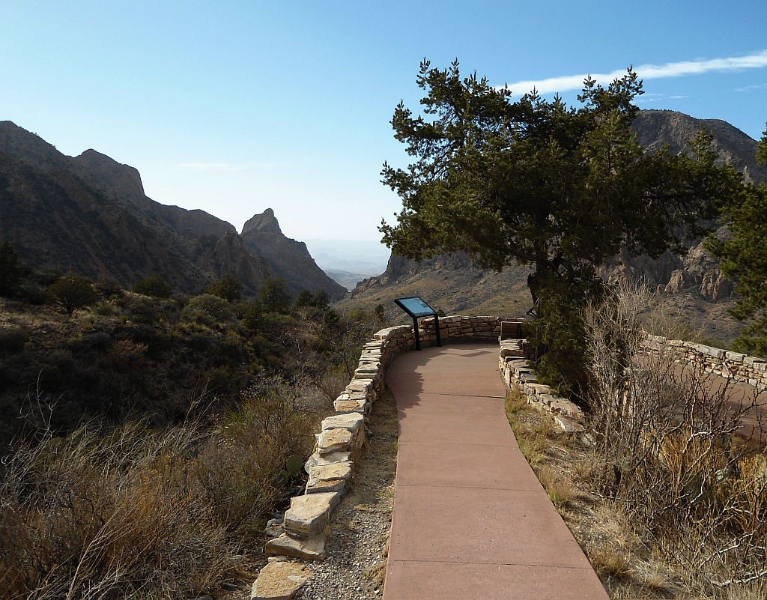 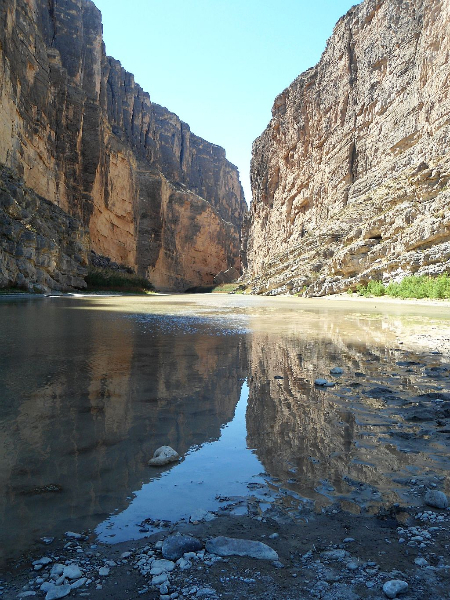 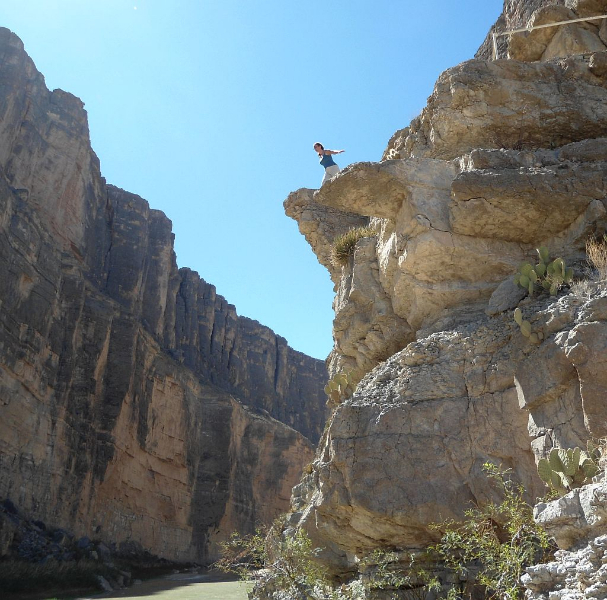 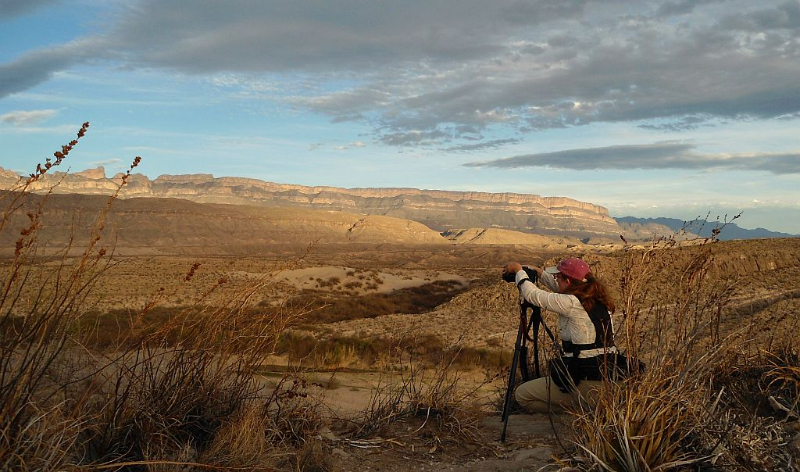 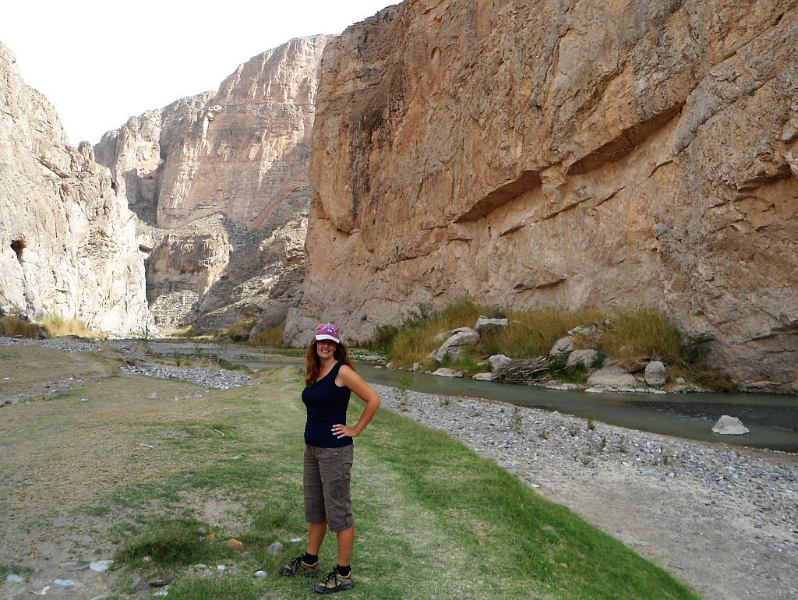 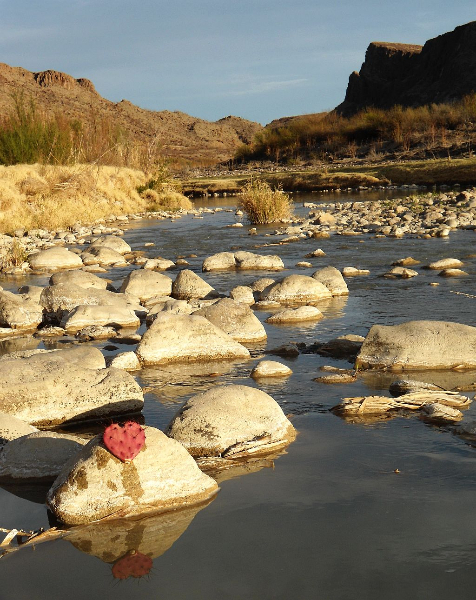 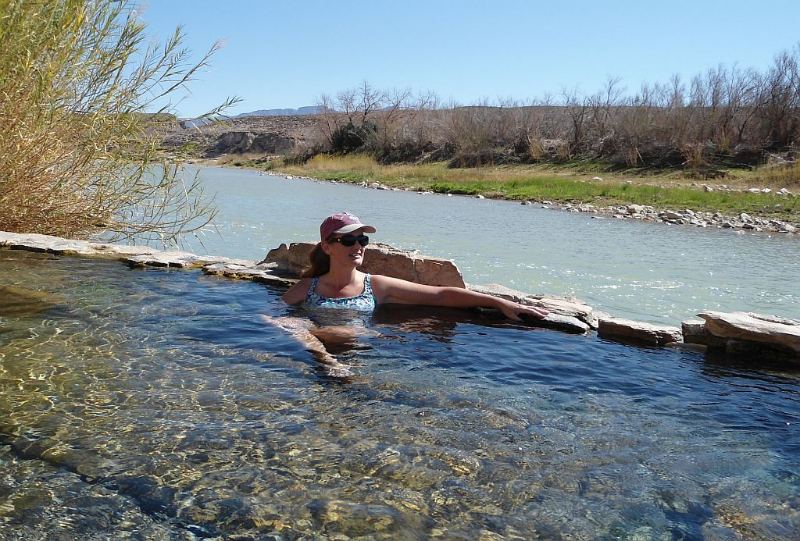 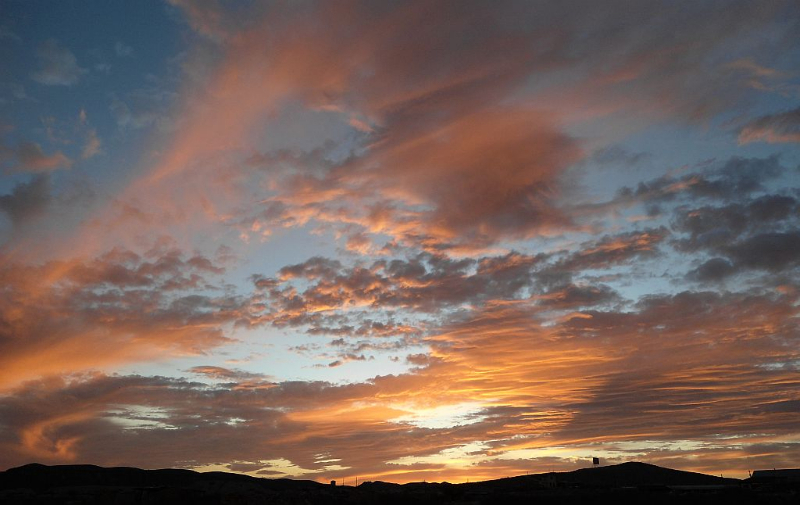 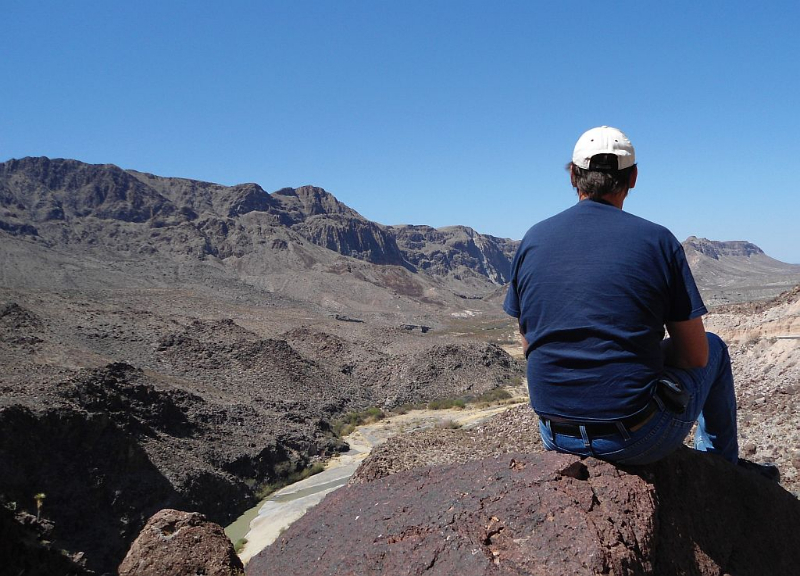 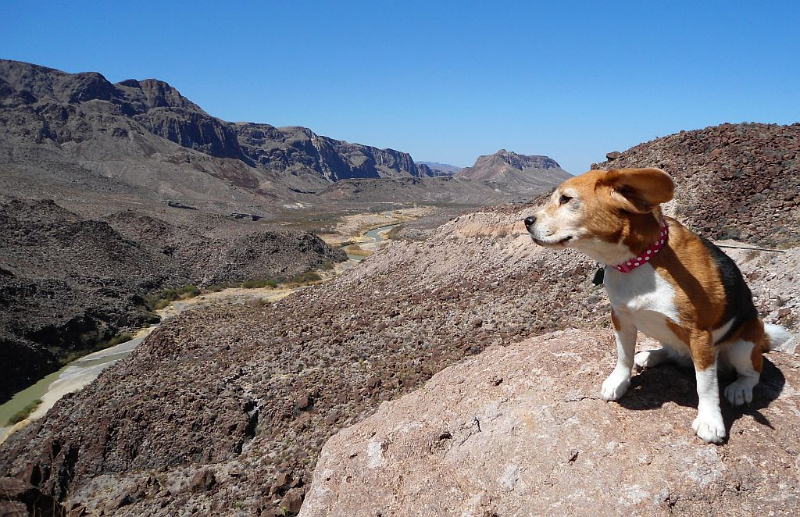 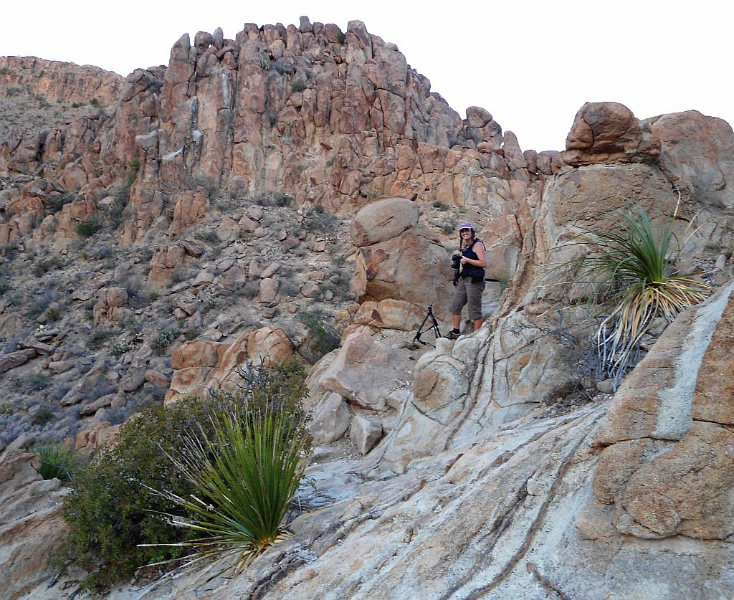 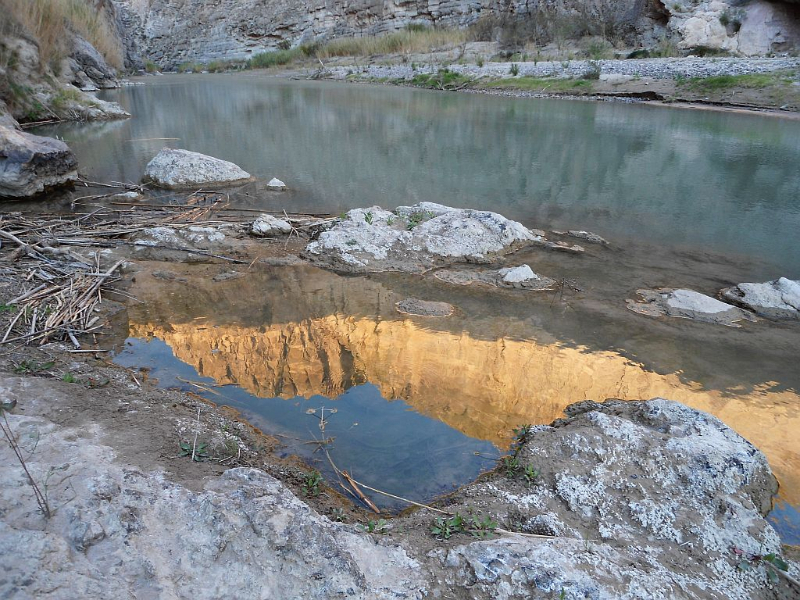 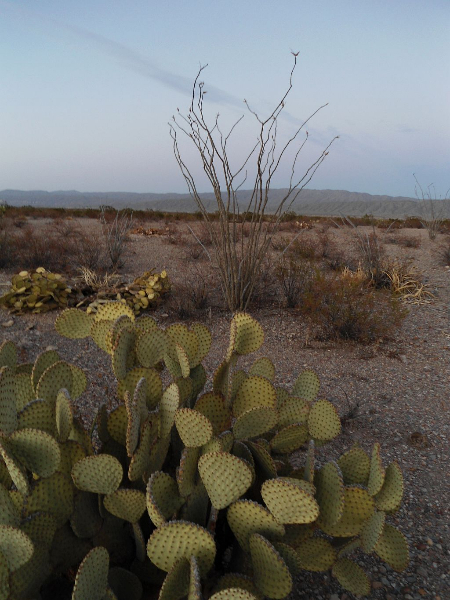 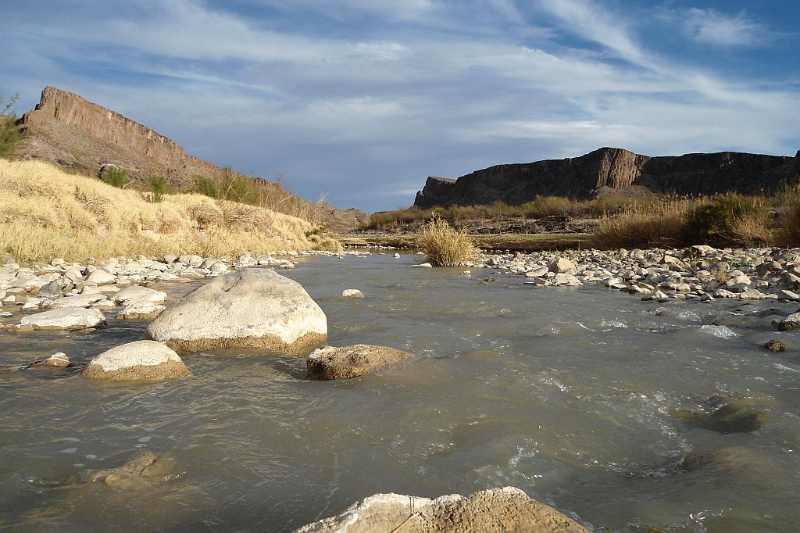 You could spend months at Big Bend, there are so many things to see and trails to hike. 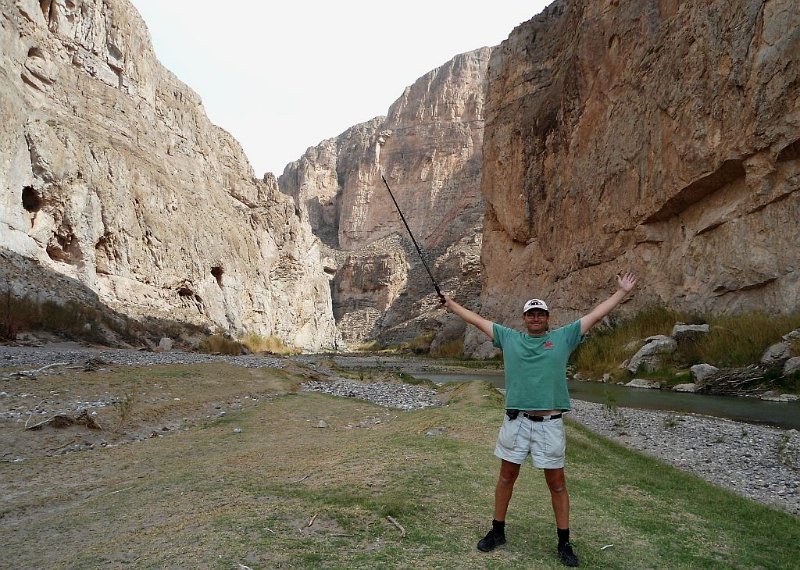 Highlights on our trip were the canyons, Boquitas and Santa Elena, both are sheer cliff canyons carved through the mountains by the Rio Grande. 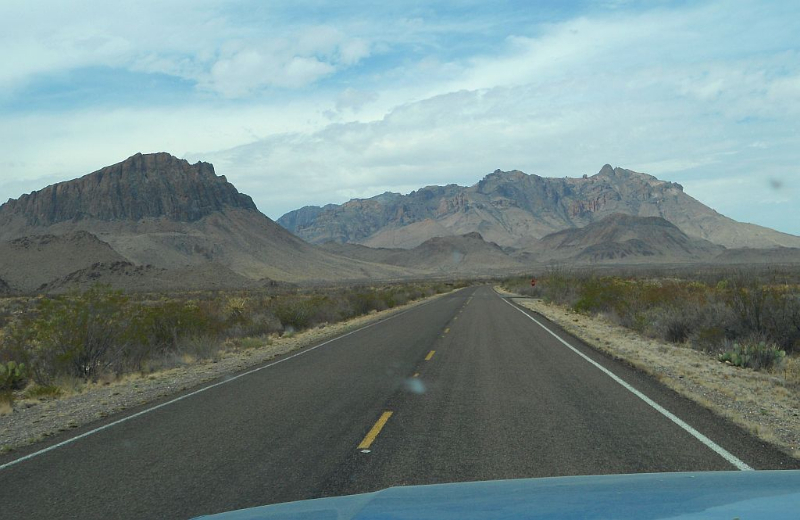 The park elevation is around 3000 feet but in the center the Chisos Mountains rise up to over 6000 feet. 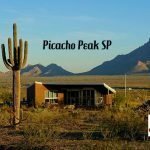 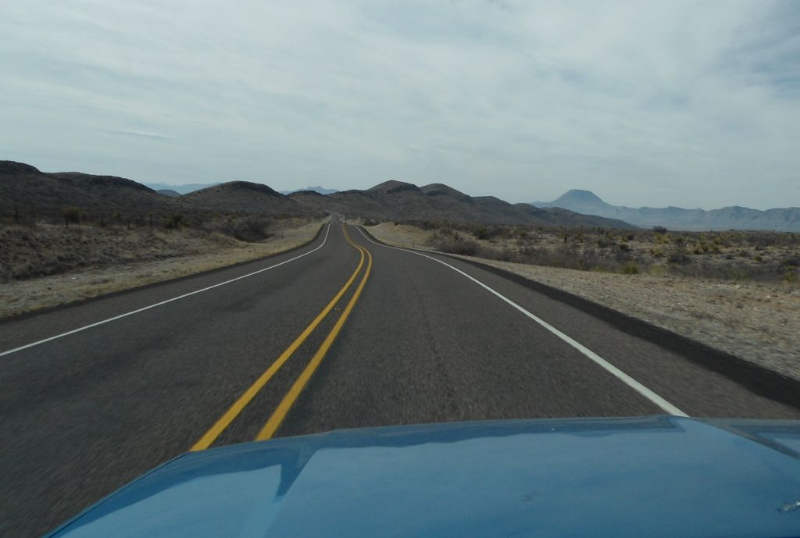 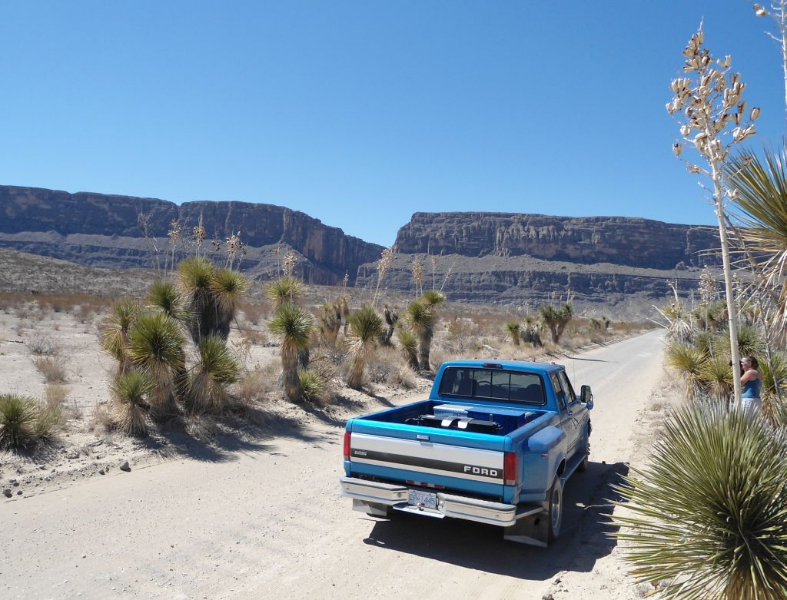 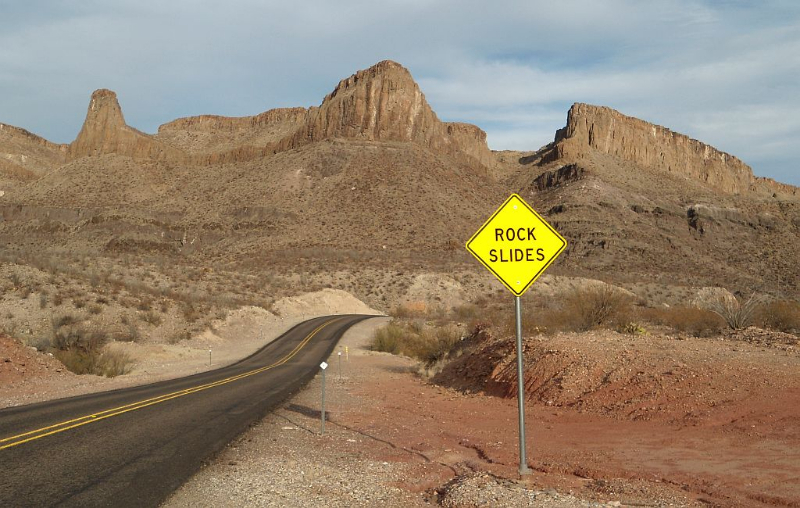 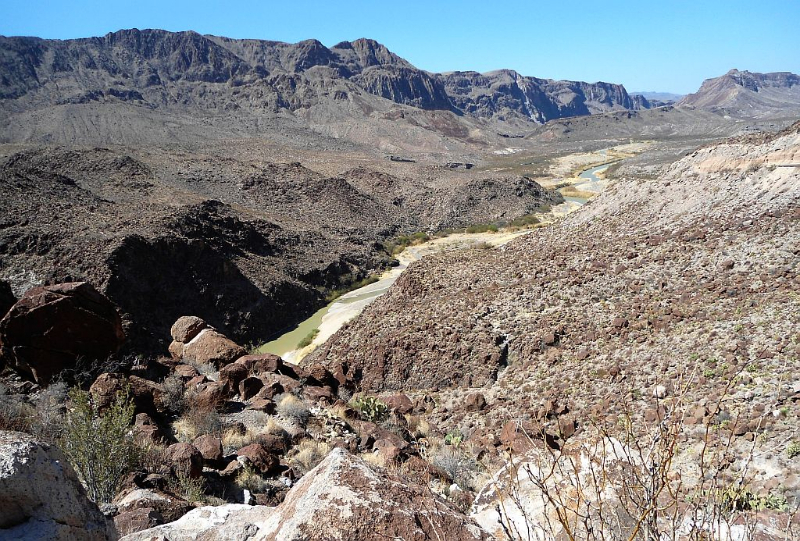 There is a road up to a basin with several trails to amazing views of the landscape of Big Bend. 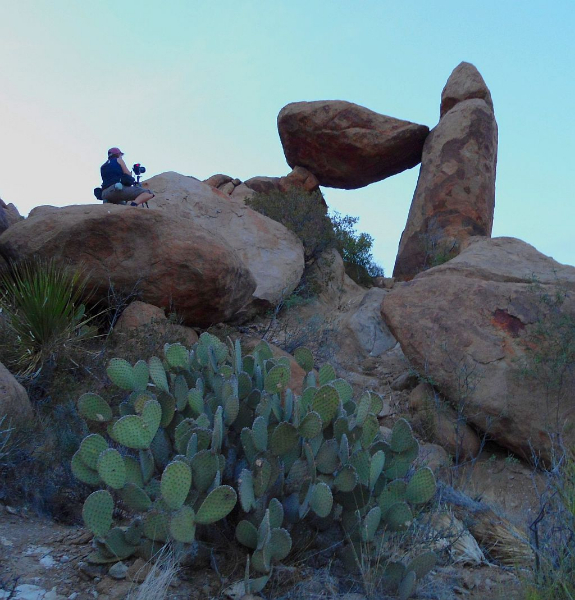 Another fun hike we did was in the Grapevine Hills to the view the Balanced Rock. 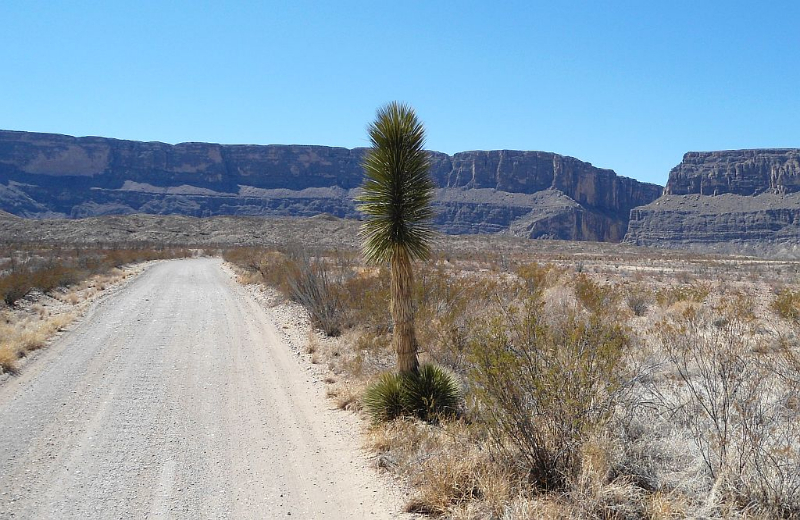 It’s about 8-10 miles of dirt road to the hike starting point but well worth the bumpy drive. 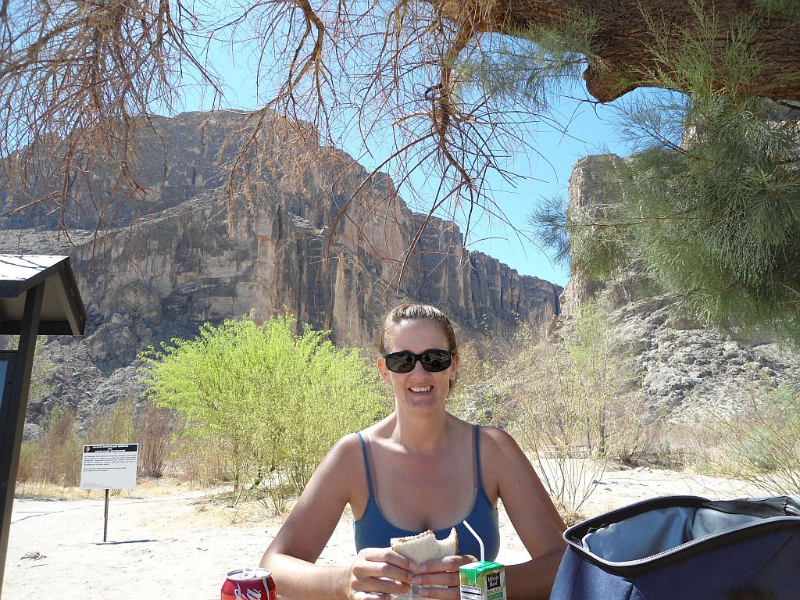 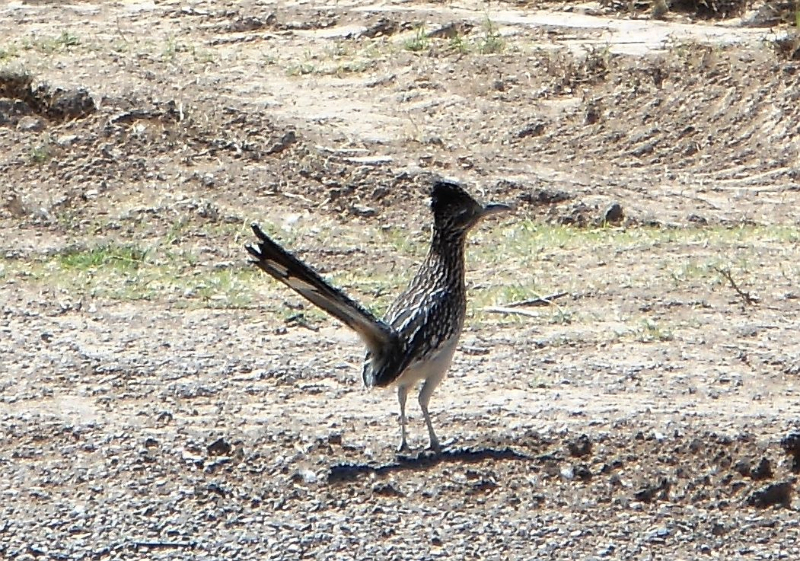 We spent a week exploring Big Bend and then dragged the trailer over to the west of Big Bend and hooked up at a nice little RV Park in the funky desert town of Terlingua. 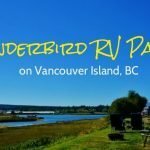 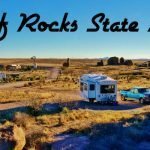 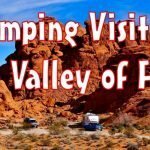 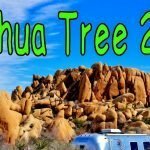 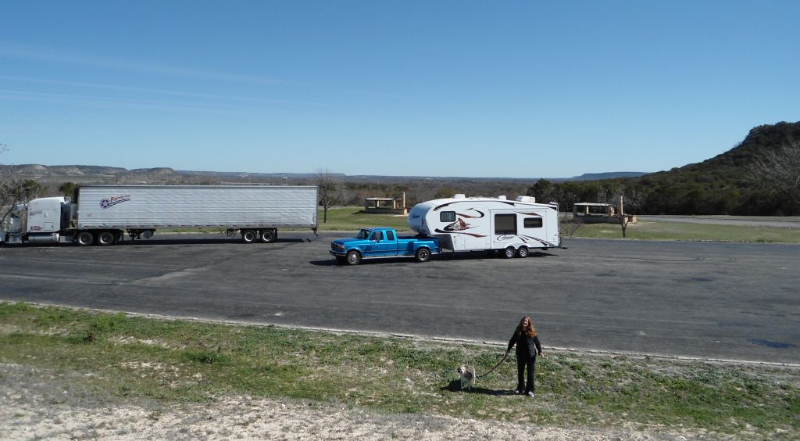 We stayed at BJs RV Park and though it’s just a patch of gravel and full hookups it has a special charm. 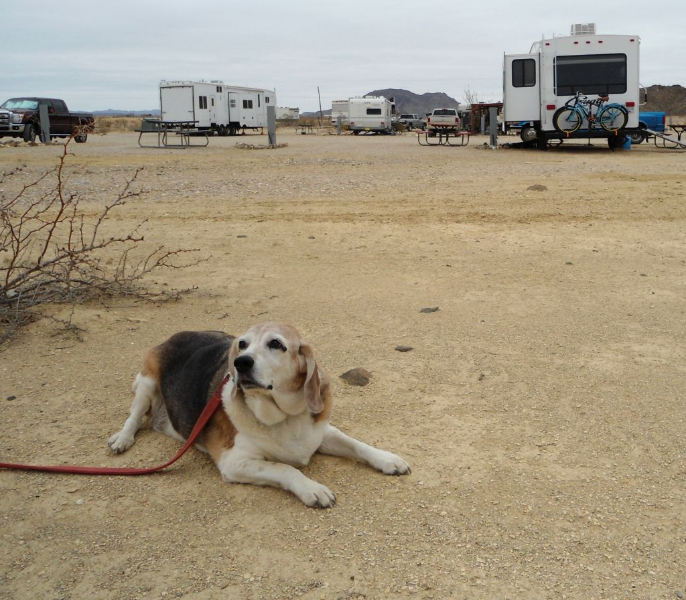 The owners live on site and were very friendly. 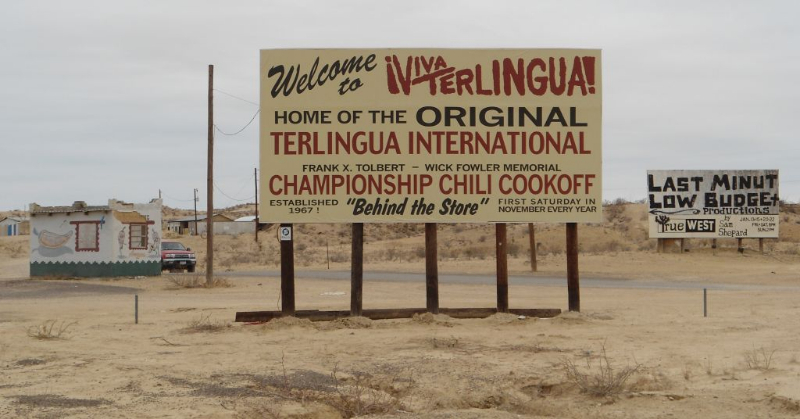 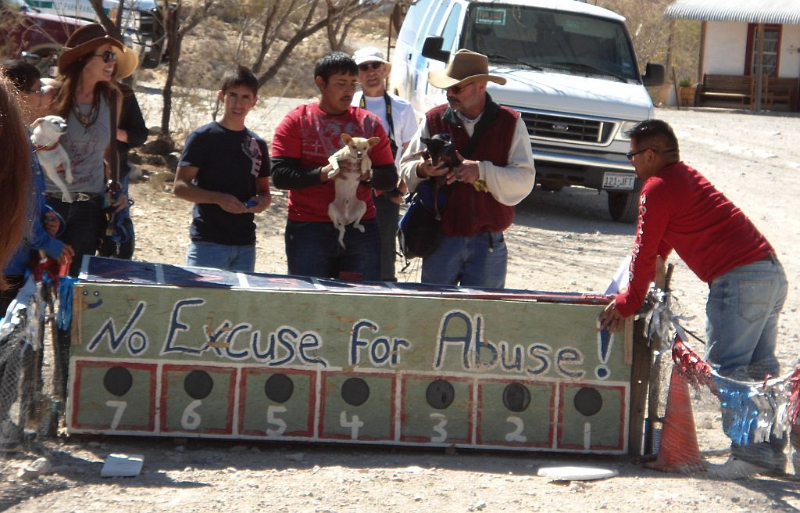 Also the famous Terlingua Chili Cook-off takes place next door. 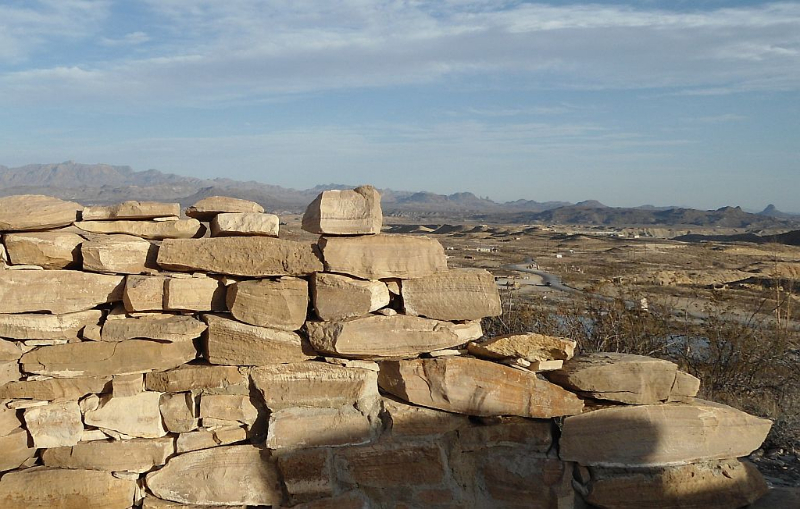 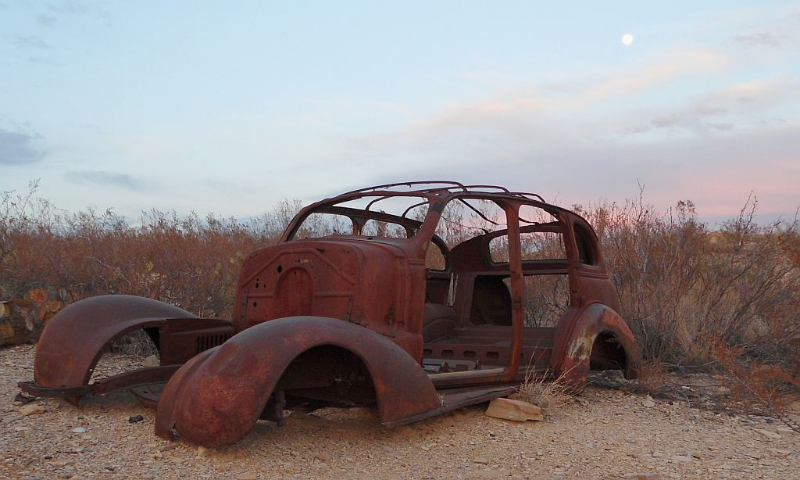 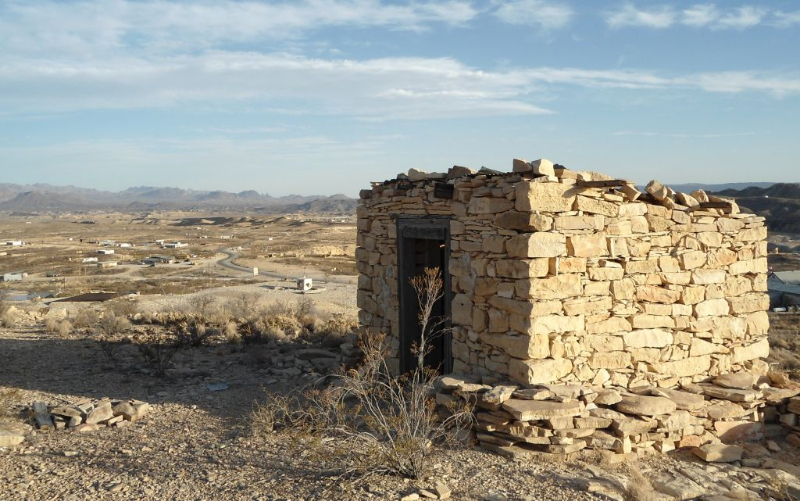 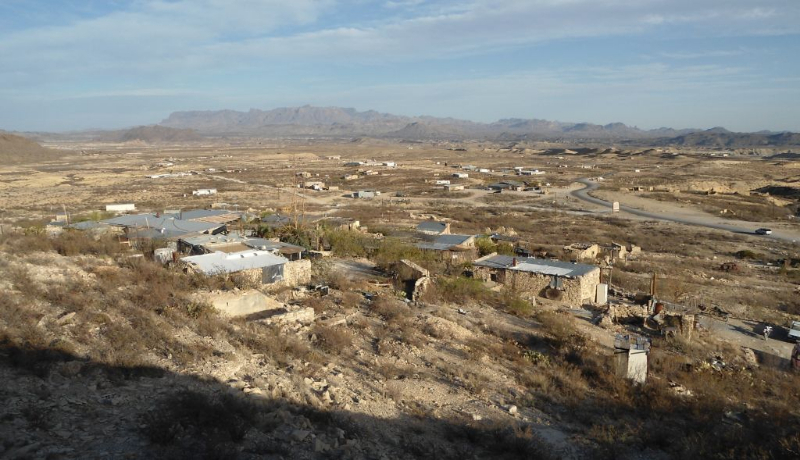 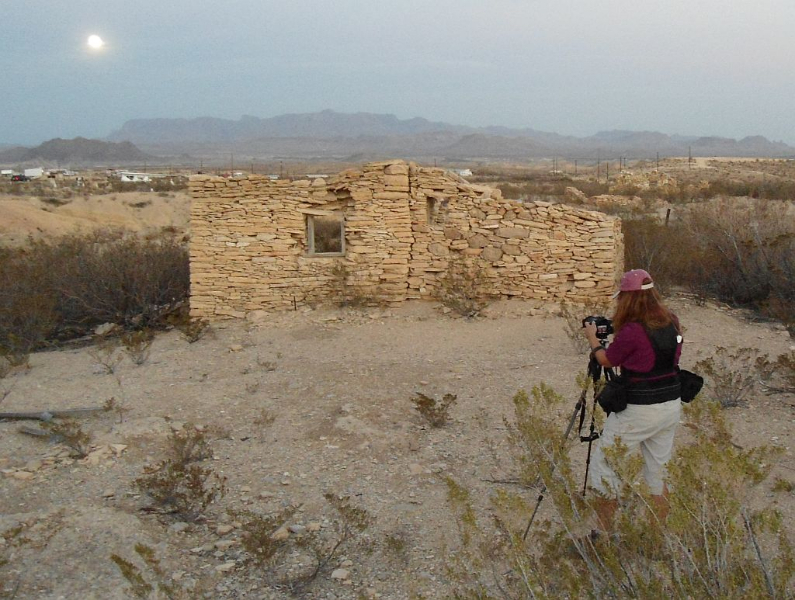 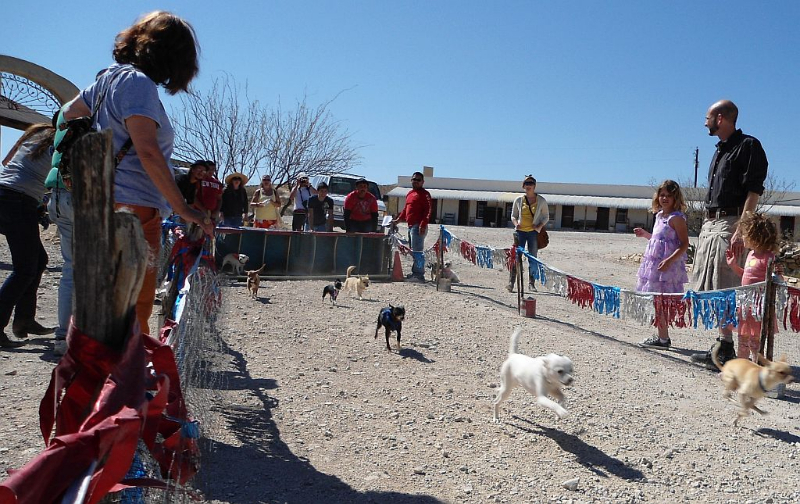 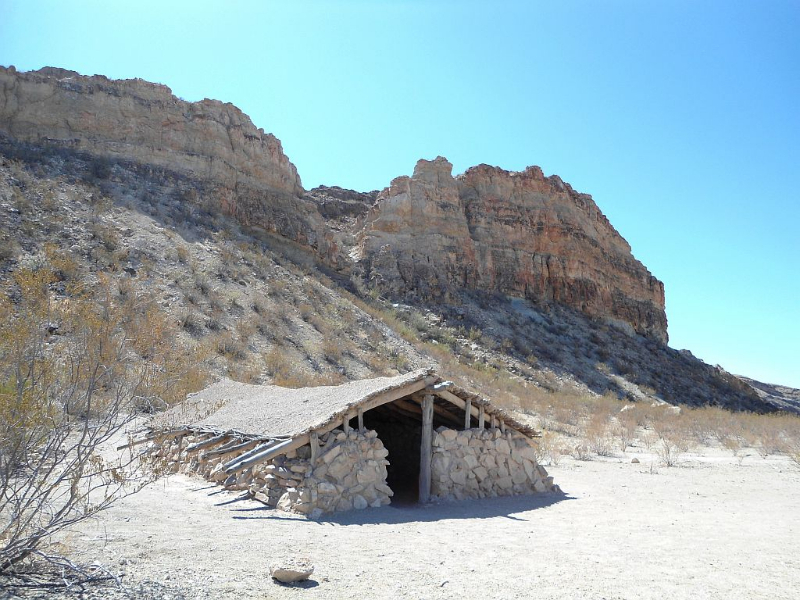 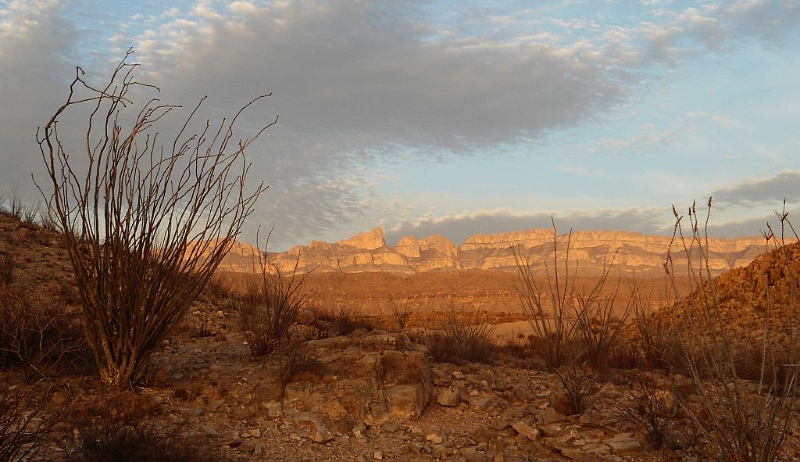 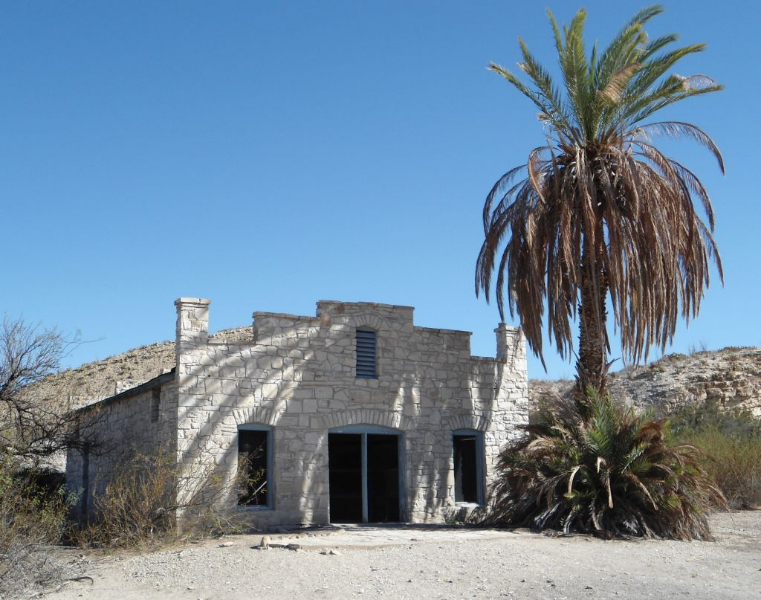 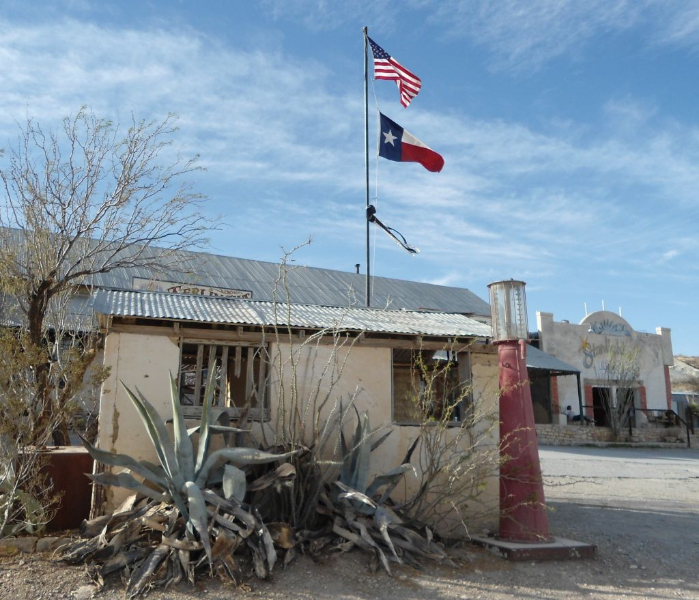 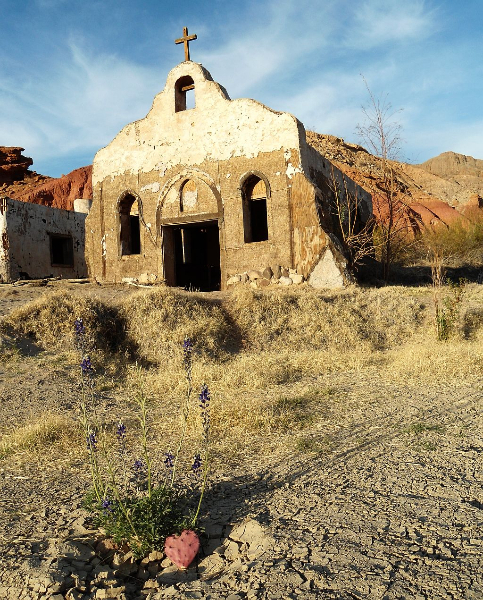 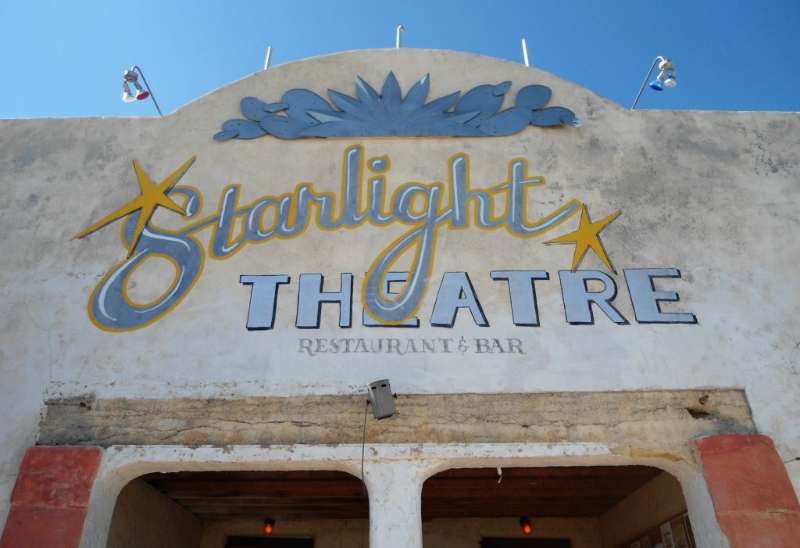 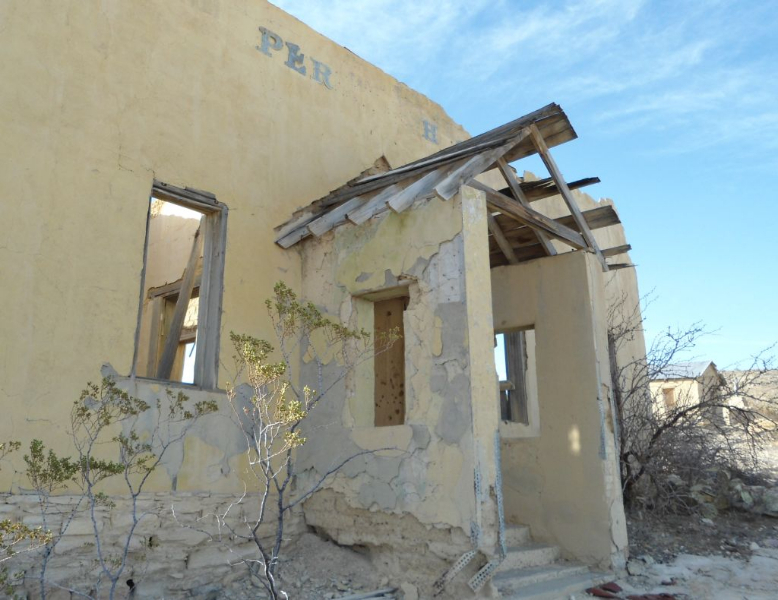 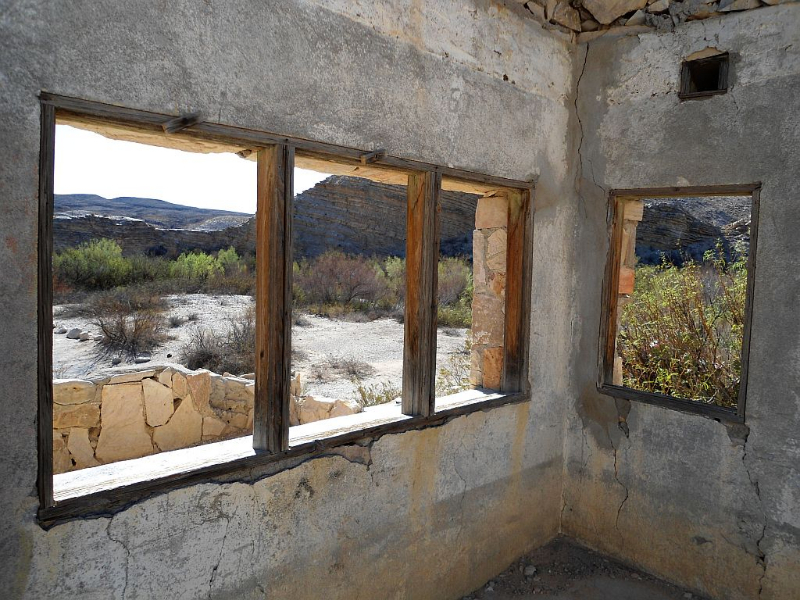 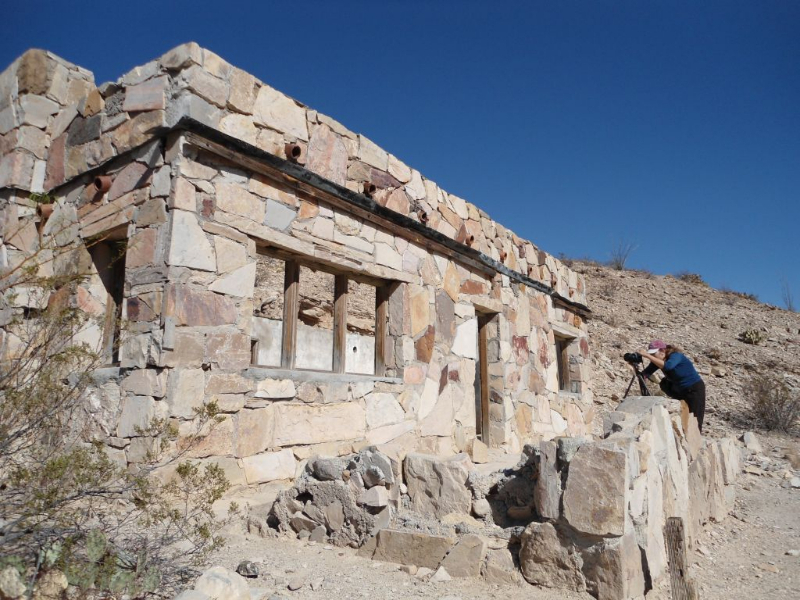 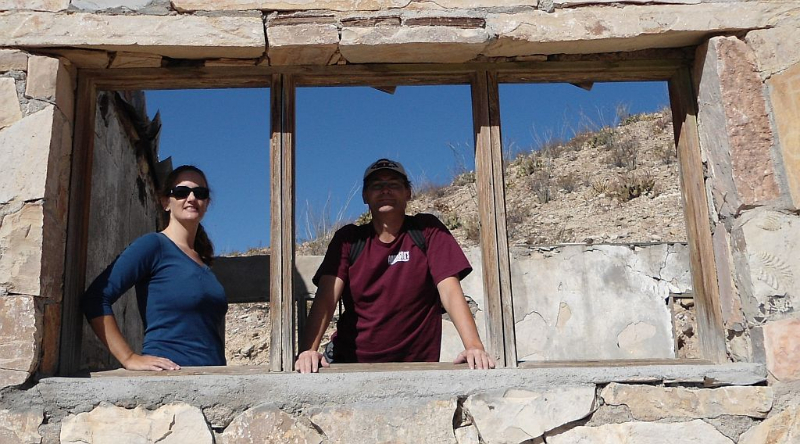 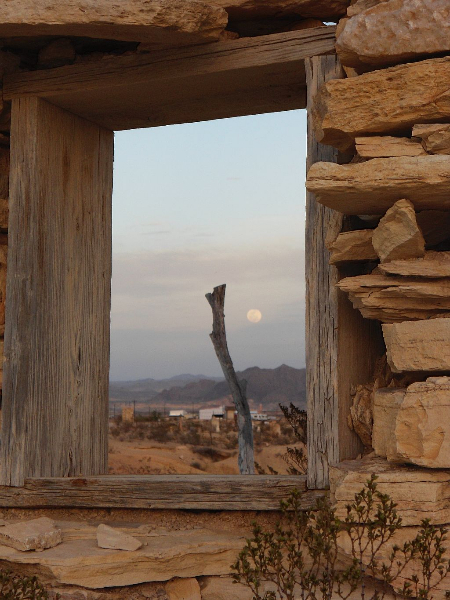 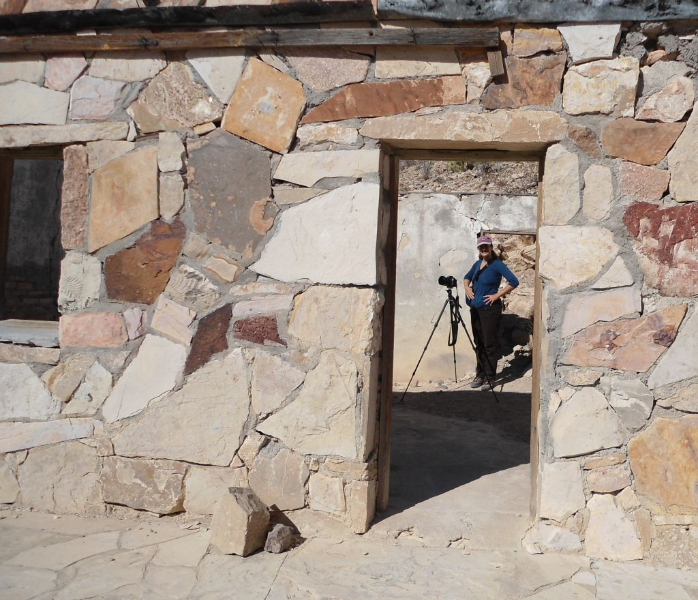 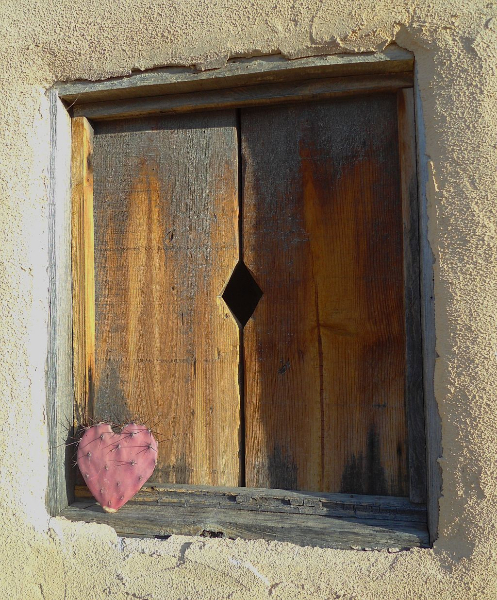 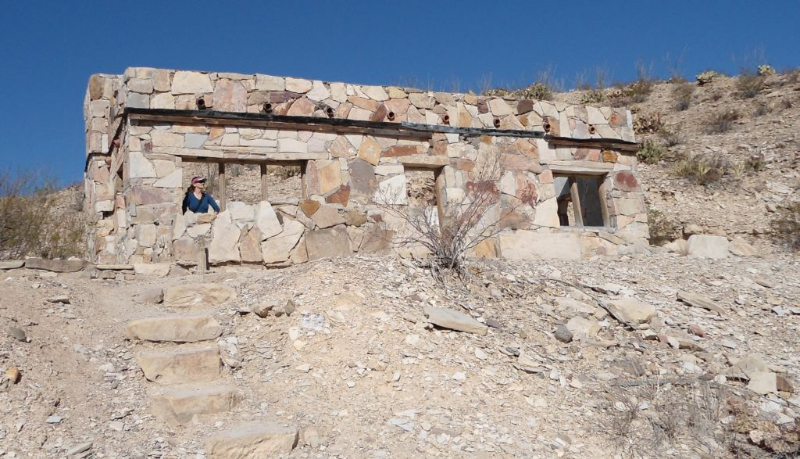 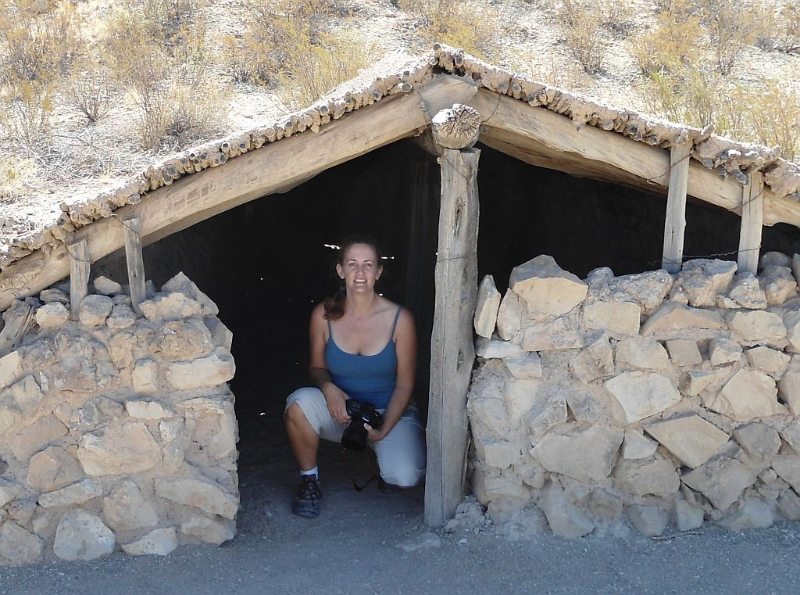 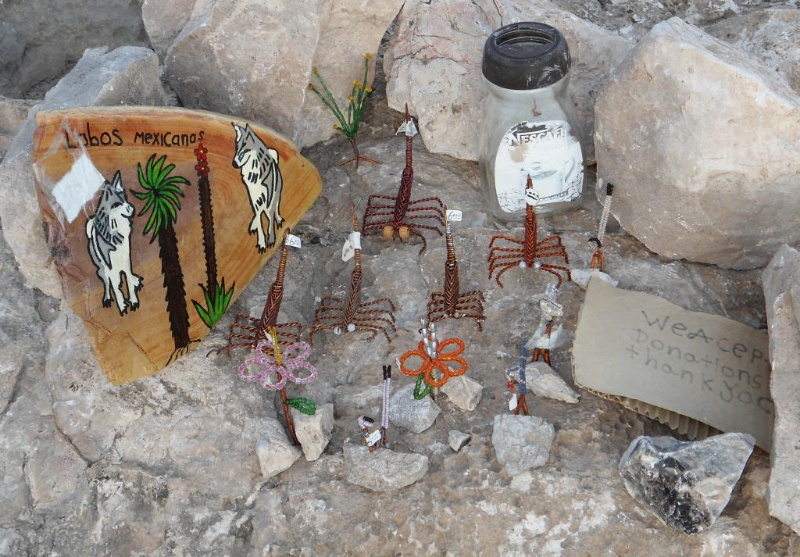 Terlingua is home to a ghost town from cinnabar mining that went on in the early 20th century. 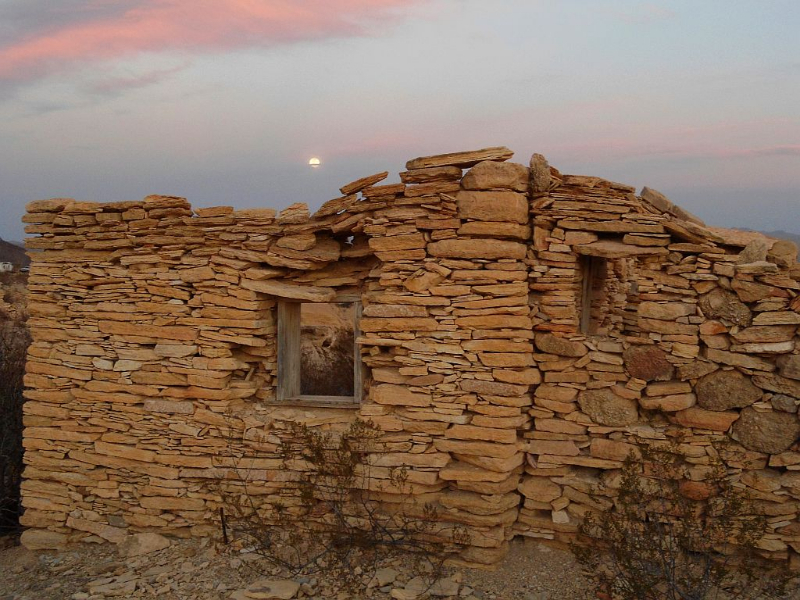 Some of the old rock dwellings have been taken over and used as homes and small businesses. 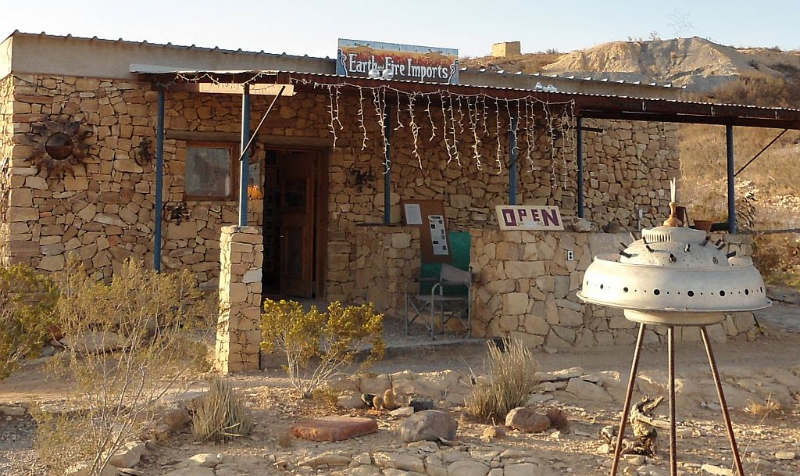 There are some nice places to eat and art/trinket type shops to browse. 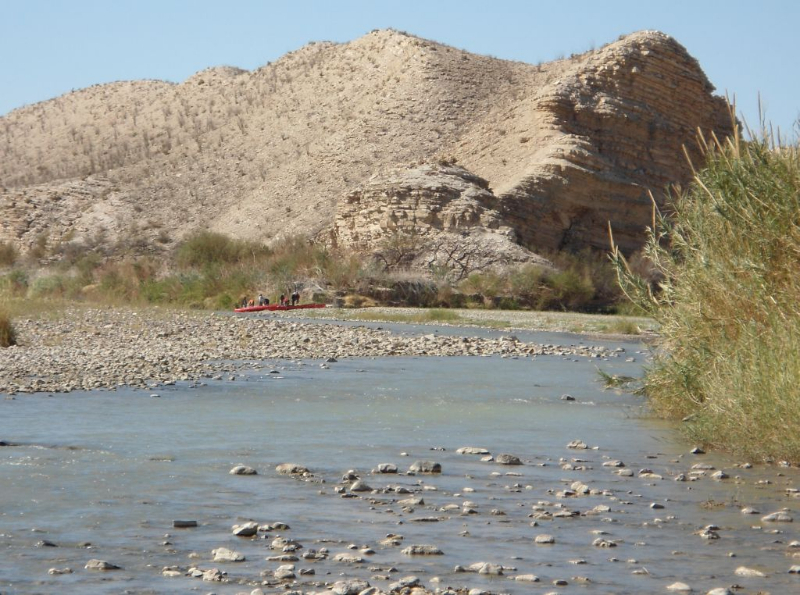 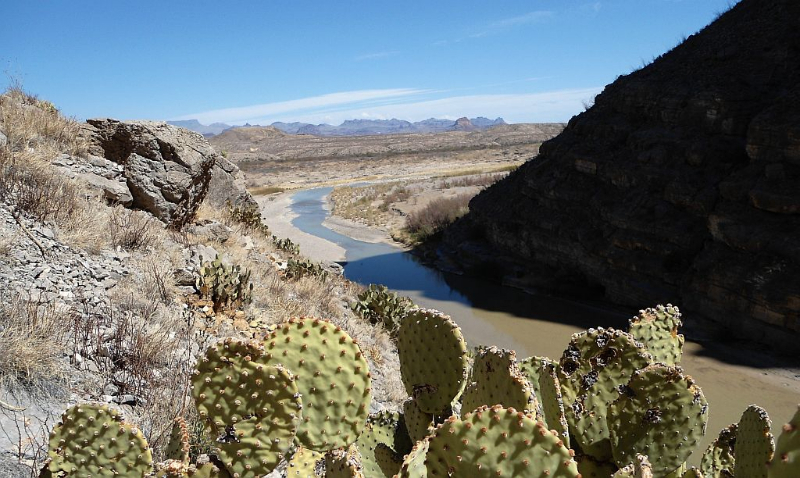 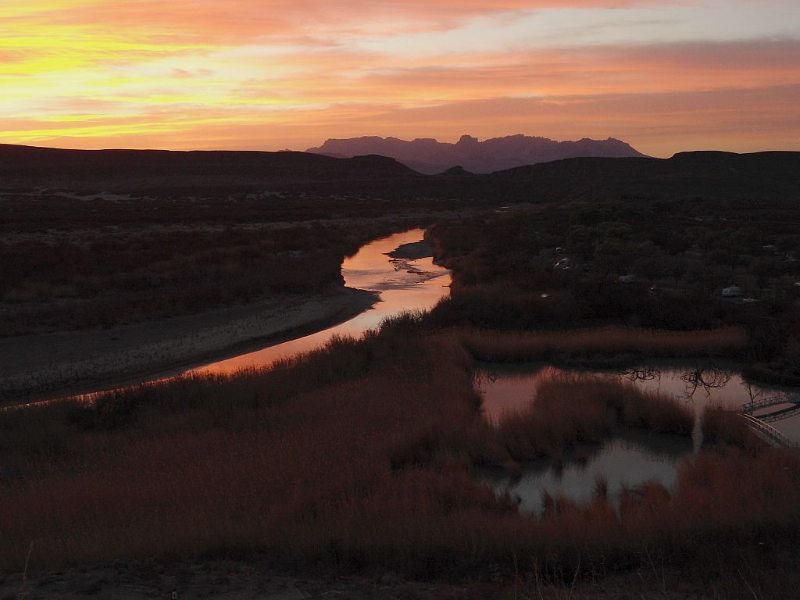 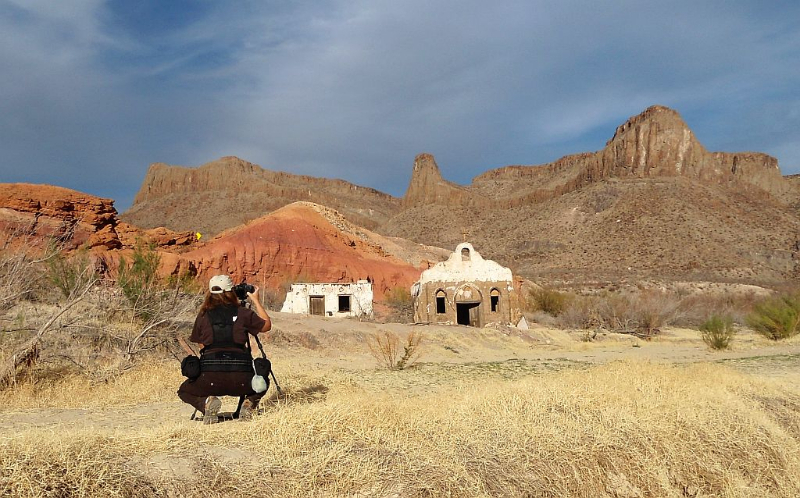 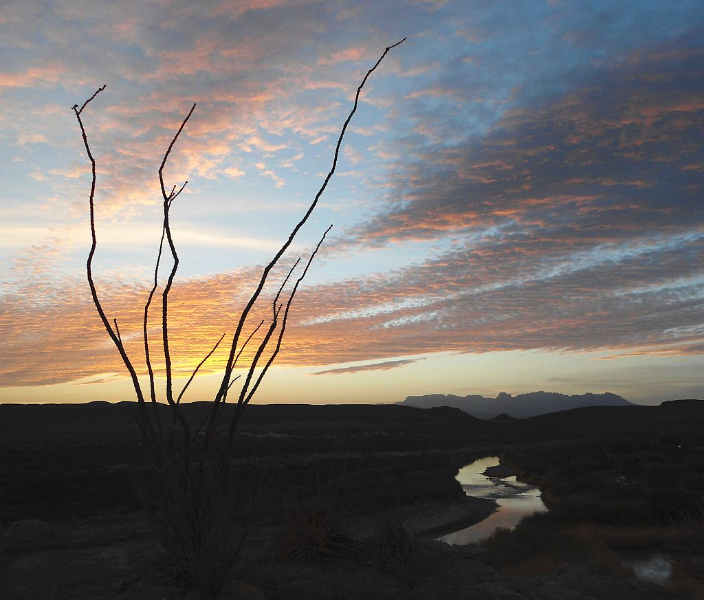 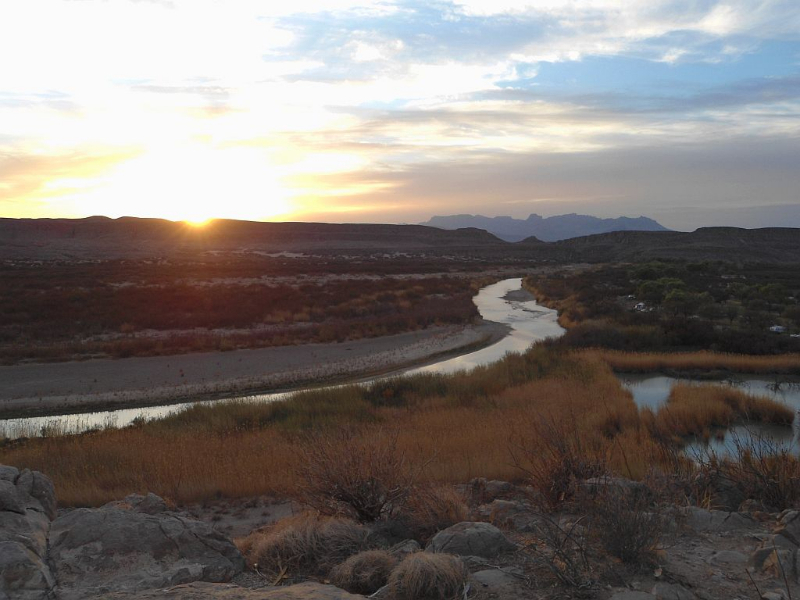 To the south-west around 15 miles from Terlingua is Big Bend Ranch State Park, a Texas park with scenery to rival even Big Bend. 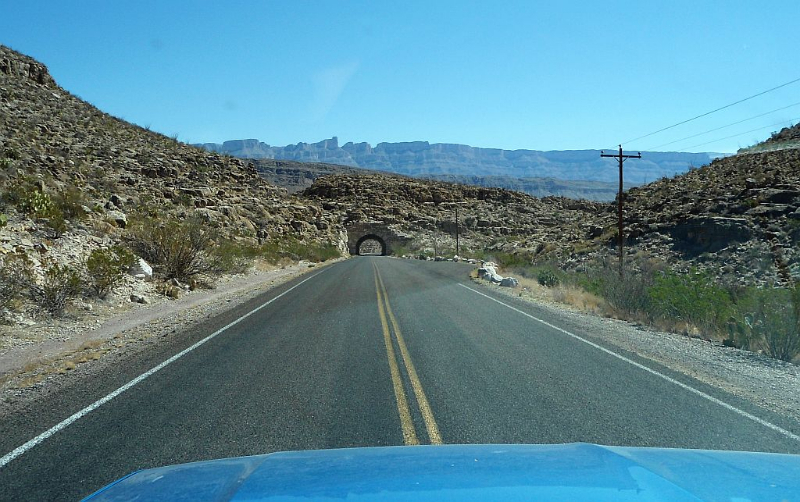 There is a scenic drive starting in the border town of Lahitas that is gorgeous. 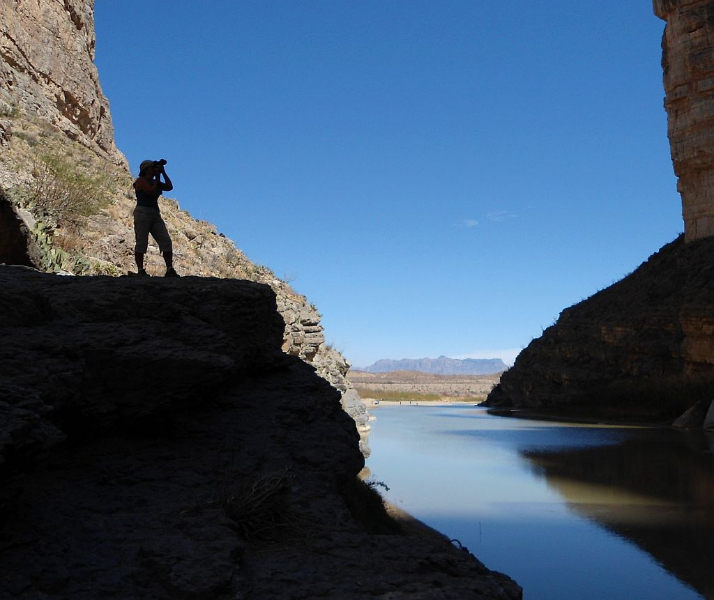 It follows the Rio Grande wind its way through jagged hilly terrain with beautiful vistas and over looks. 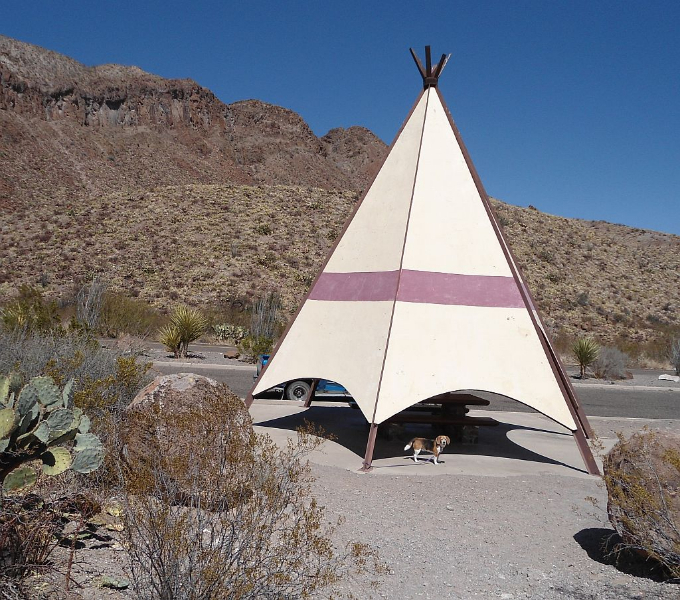 Along the way is an old movie set with some buildings to explore and a neat picnic rest stop with giant teepee for shade. 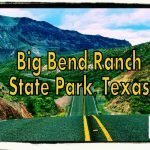 I could go on and on about our Big Bend visit but photos express it better than I ever could so take a look at the gallery below or watch our visit in a video slide show.